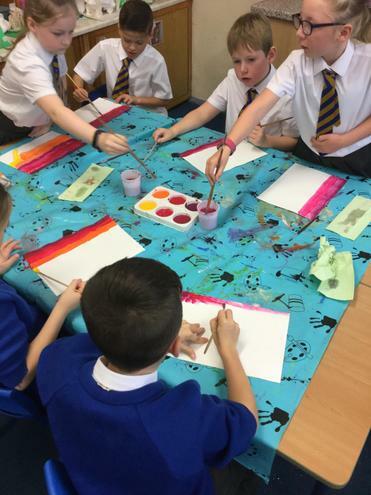 In year 4 we are concentrating on being good role models for the new year 3 children joining the juniors. 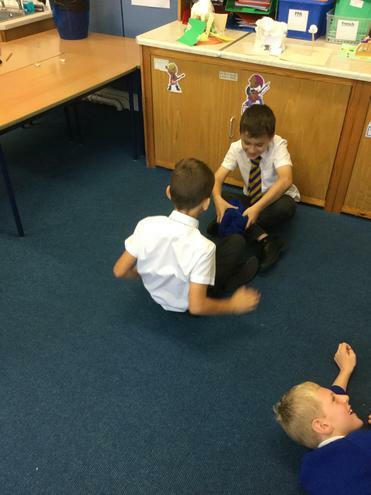 In my classroom we are always kind, considerate and hard working but we always remember to have fun! 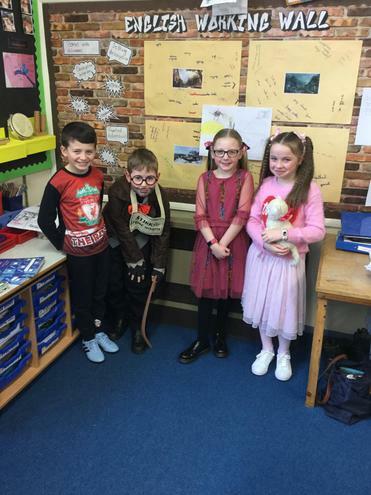 We had a fabulous day filled with lots of fun activities based on our favourite David Walliams books. 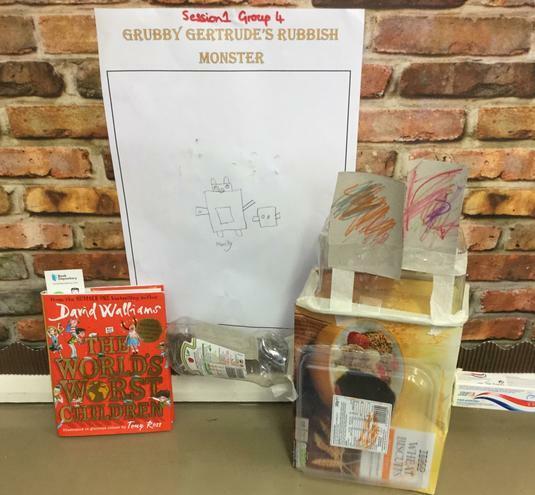 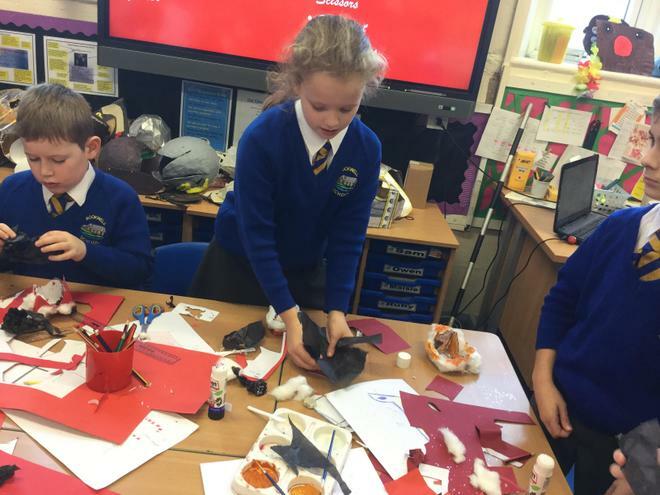 We went on a jewel hunt, made salt dough rats, created our own recycled rubbish monsters and even made some ogres eyeballs. 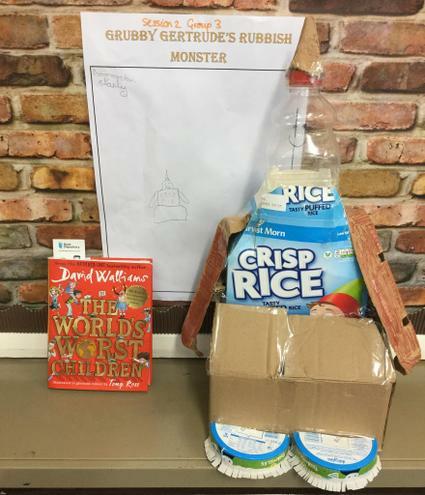 Some children even created their own versions of the very popular book The Worlds Worst Children, they were brilliant! 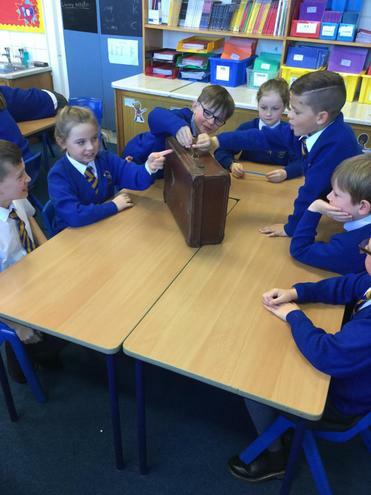 Today the children took part in an electricity workshop delivered by STEM. 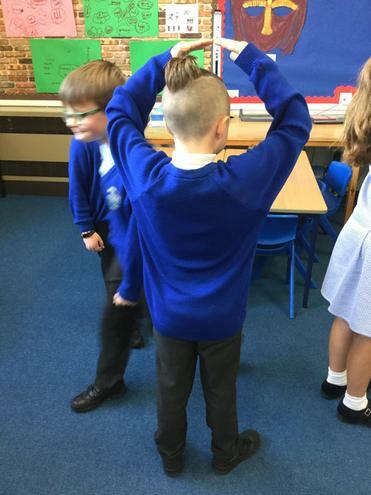 We learned all about electrical appliances, how else electricity is used and where it comes from. 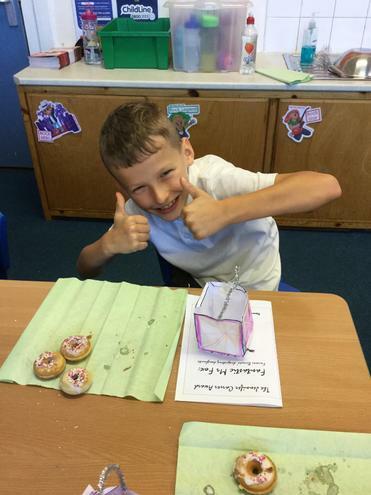 We also learned how to build a simple series circuit with a range of components and how electricity is measured. 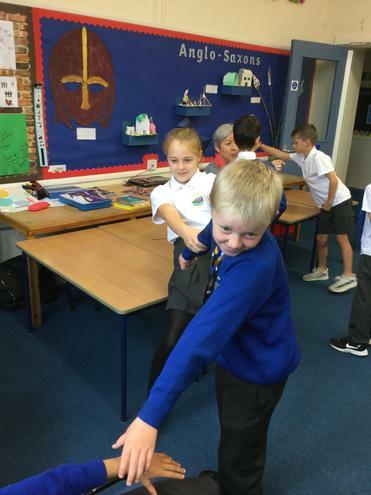 We learned about ways in which we can help the environment and save electricity around our home and how to keep ourselves safe when using electrical items... what a brilliant day! 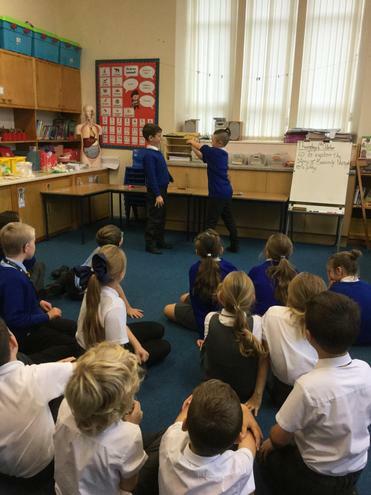 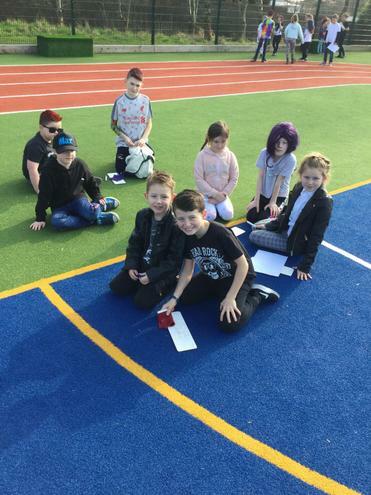 To begin the week, we had a very special visit from imagination gaming and each class had a go at taking part in a gaming session. 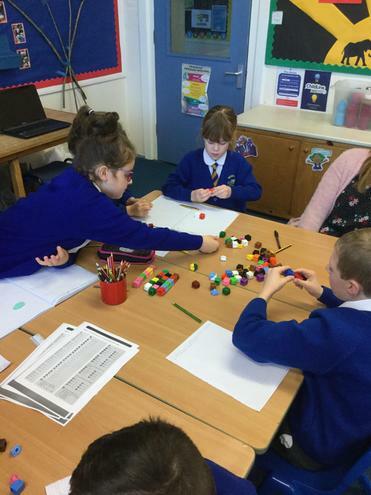 Year 4 had lost of fun exploring different ways to develop their mathematical skills, experiementing with an array of maths focused games. 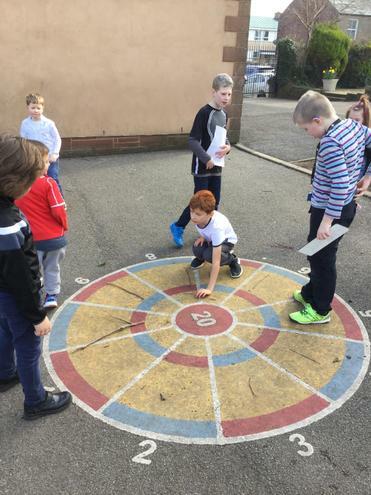 Year 4 planned and created their own maths trail for the Year 1 children to complete. 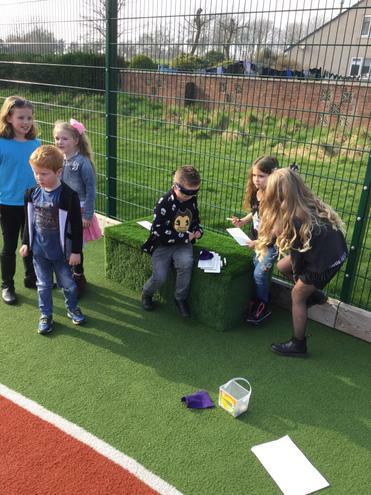 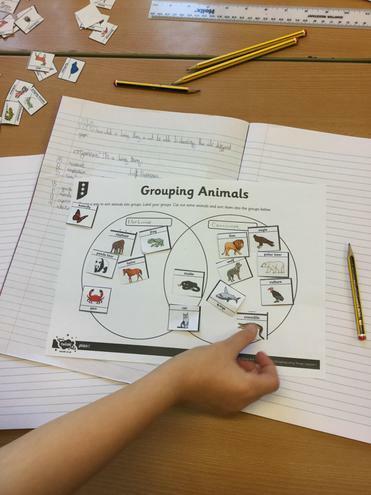 The children discussed a range of ideas and chose two trails for their group of children to complete. 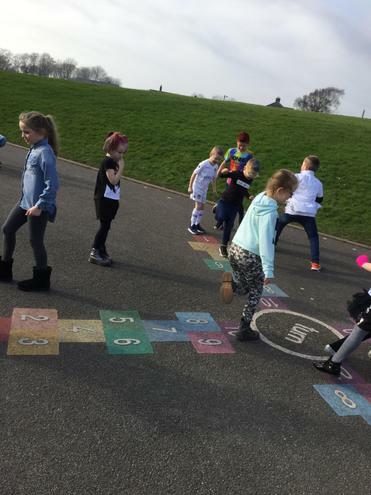 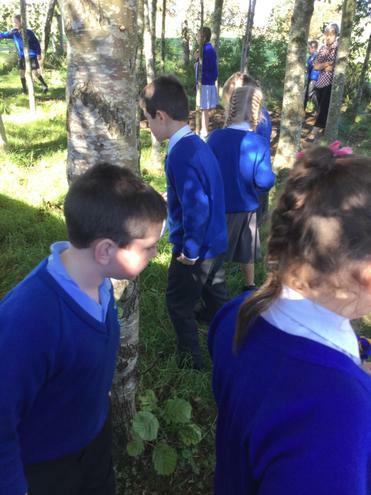 They then completed the trail in the afternoon helping and supporting the Year 1s wherever possible. 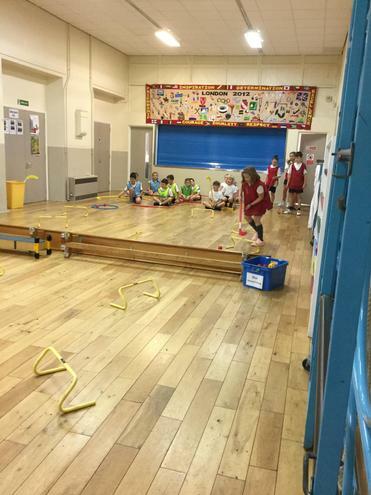 Each child worked extremely hard, very impressive leadership skills. 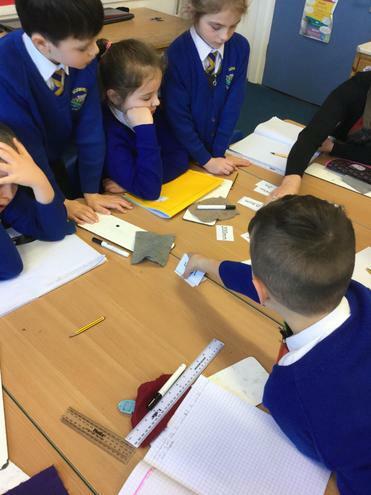 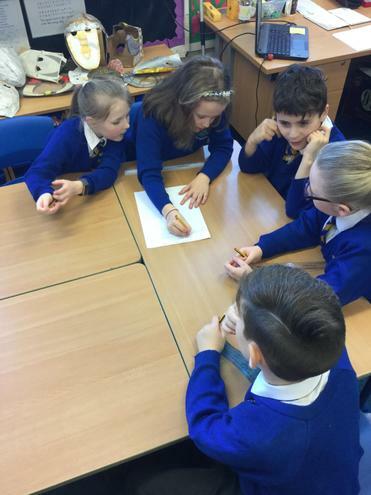 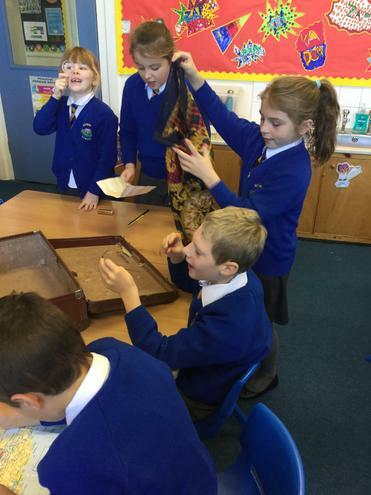 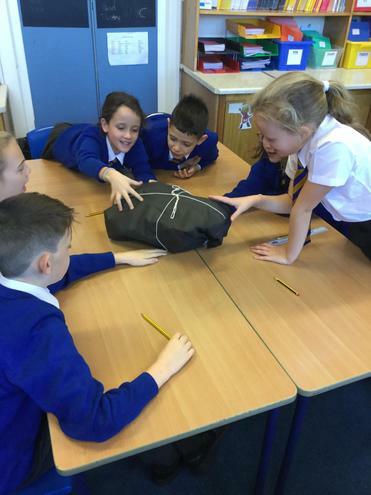 As part of maths week each class investigated a different counting system and we learned all about the Ancient Egyptian system. 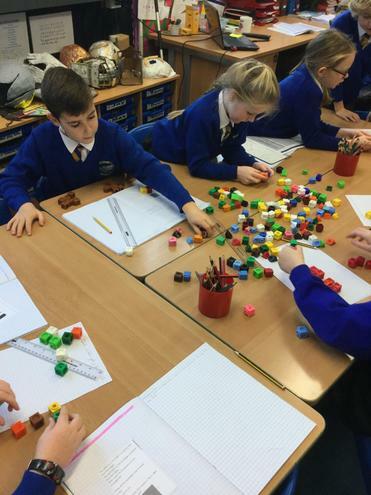 We discovered that unlike our own number system, they used symbols instead of Arabic numbers to classify different numbers and amounts. 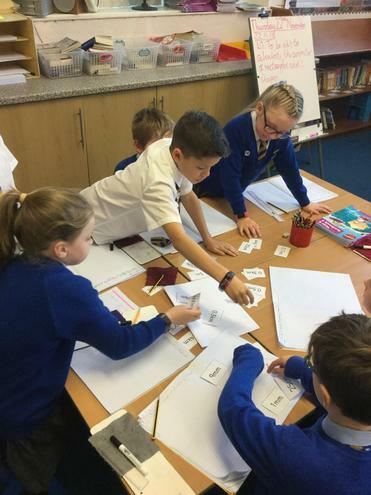 We had a go at decoding the symbols and even creating some simple maths questions in hieroglyphics. 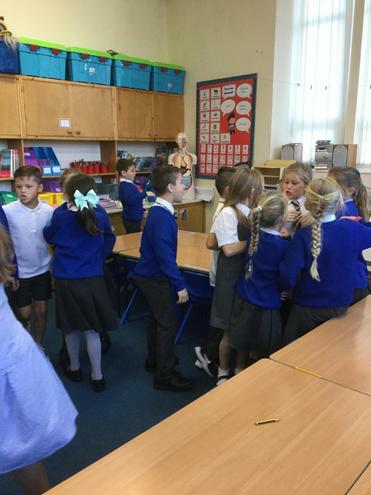 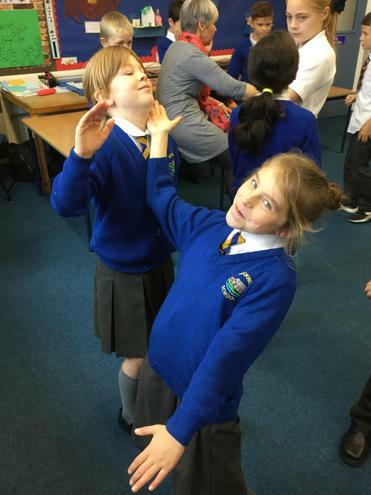 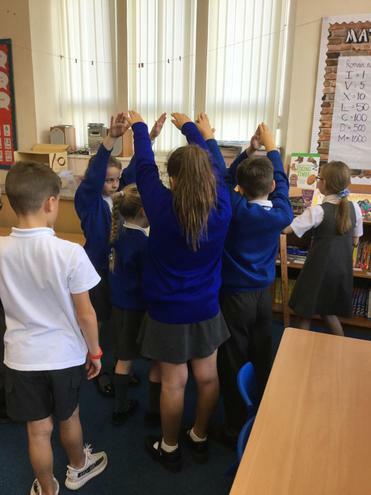 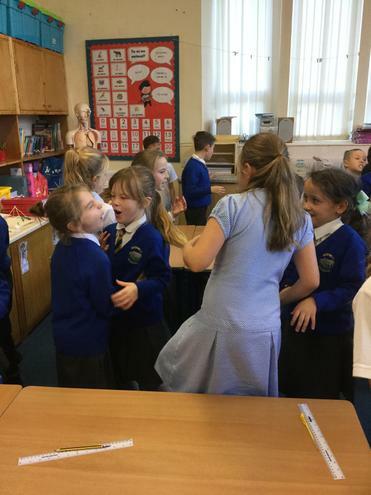 In Science we have investigated height and how tall each member of our class is and also looked at eye colour, to determine which was the most popular colour within our class. 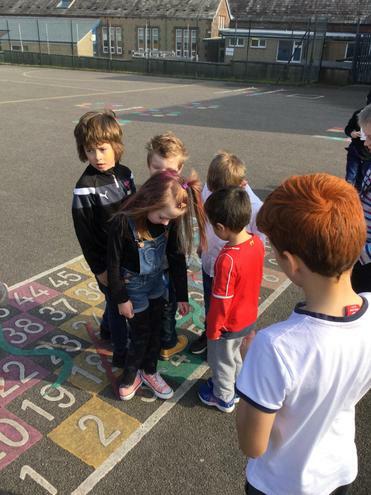 To measure our height we worked in pairs using metre sticks to get an accurate result and to collate data for eye colour we completed a class survey. 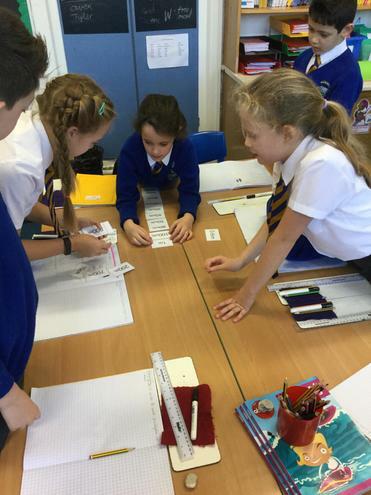 We took the results and created a bar graph and table to show our findings and compare the data collected. 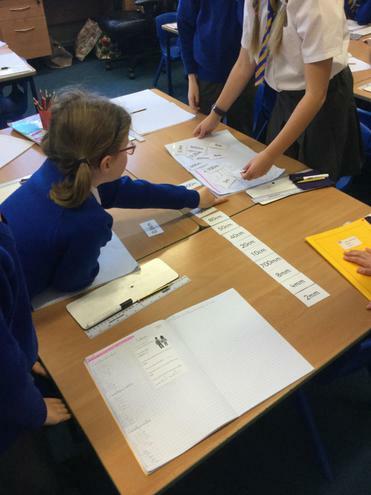 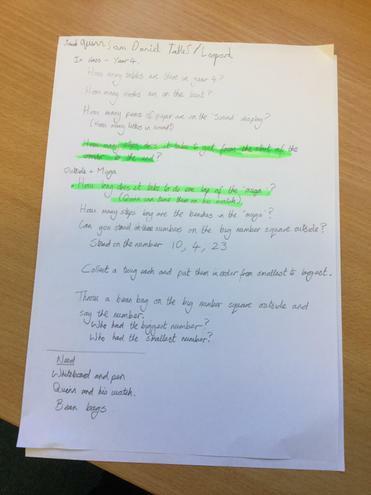 As a school we took part in a code cracking maths trail during maths week. 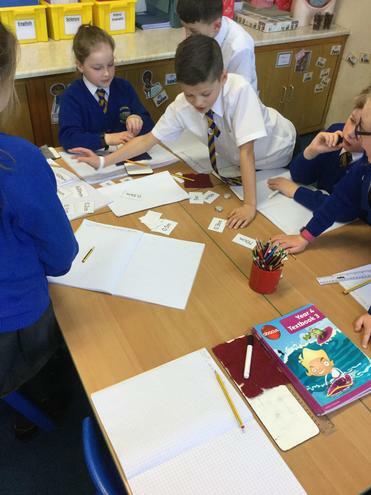 The children worked in partners to find a range of clues and answer the maths questions to reveal the missing letters and crack the code. 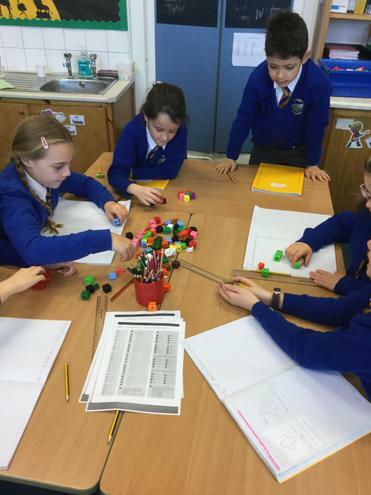 The children worked very well together to solve the problems and find out the answers to the calculations. 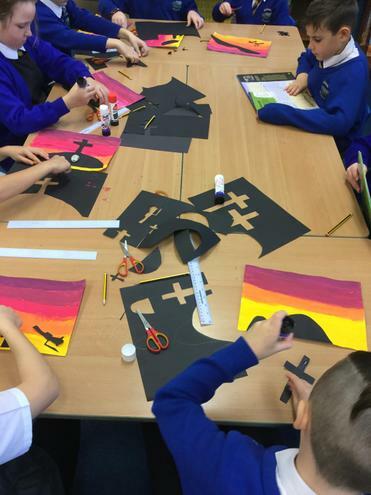 During R.E this half term year 4 have been learning all about Judaism. 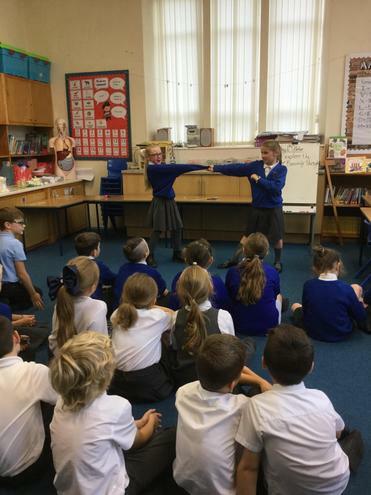 We have learned all about the raltionship Jews have with their God and how they worship him. 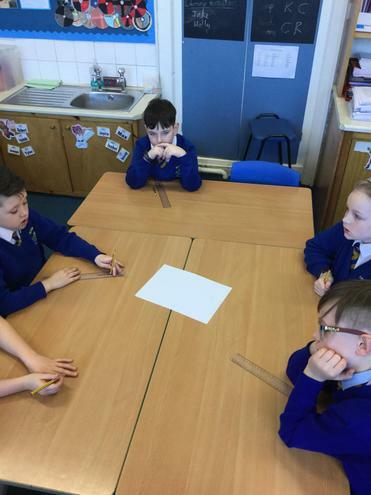 One of their most important celebrations is Passover and to experience what it is like we had our very own Seder meal. 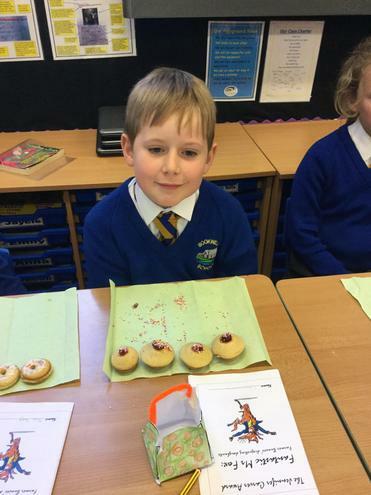 We tried all of the traditional foods eaten from the Seder plate, washed down with some fruit juice. 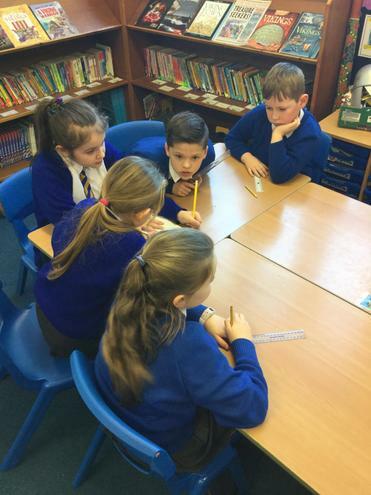 Today we visited Egremont Library. 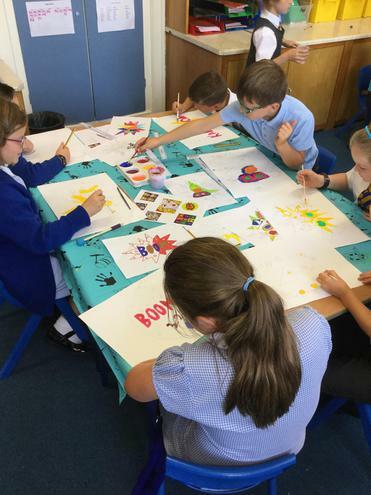 The children had a fantastic time discovering new books and learning all about different types and genres. 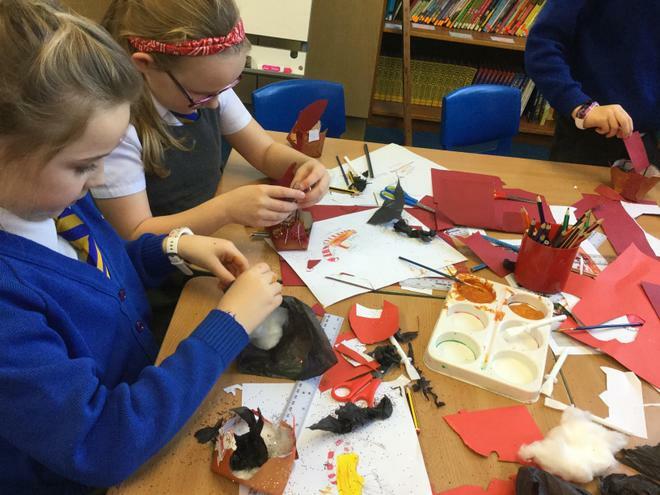 This half term our topic has changed once again to history and the children are learning all about Vikings. 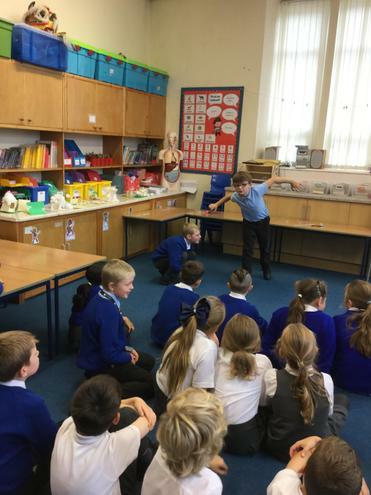 To begin the topic I arranged a visit from a very special visitor Bjarni Thorvaldrson, to come and tell the children all about what Viking life was like. 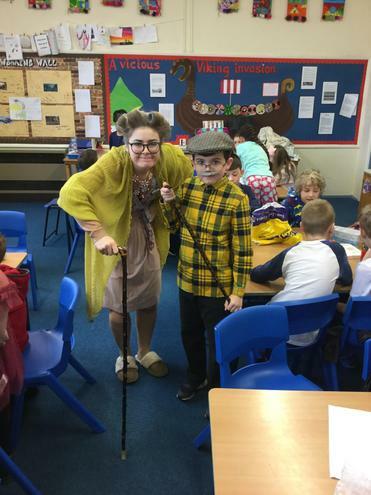 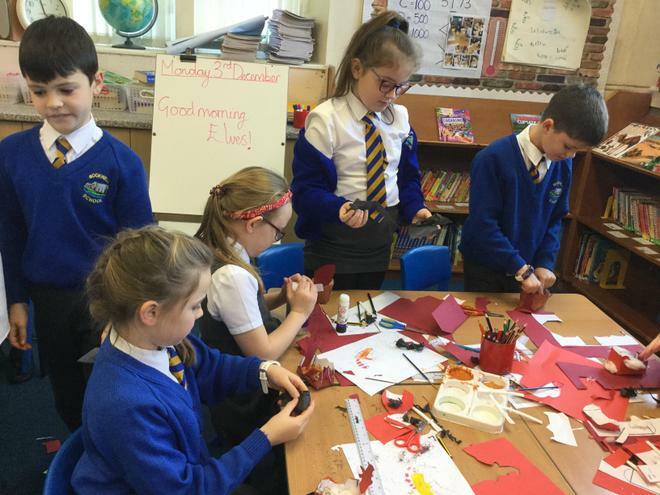 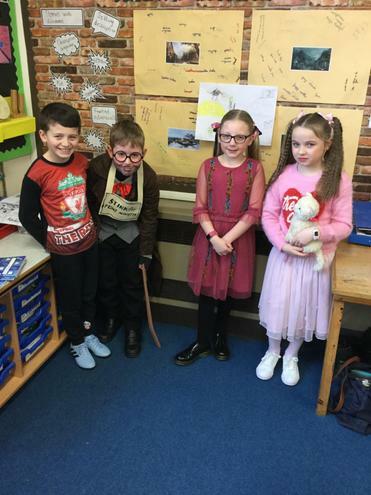 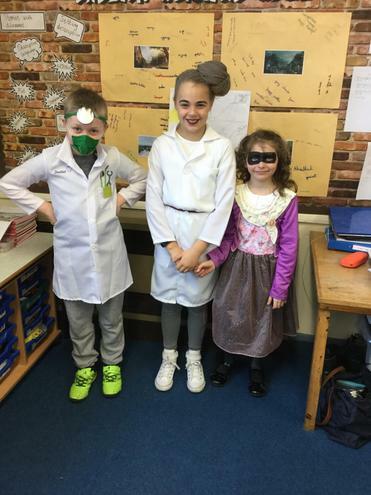 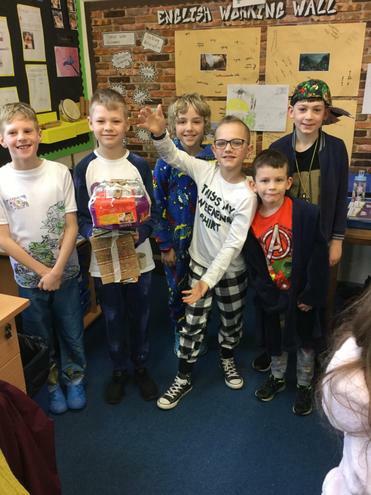 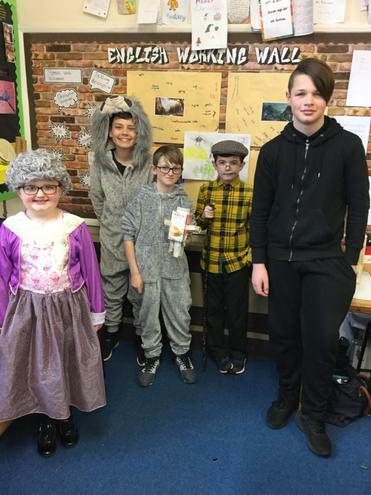 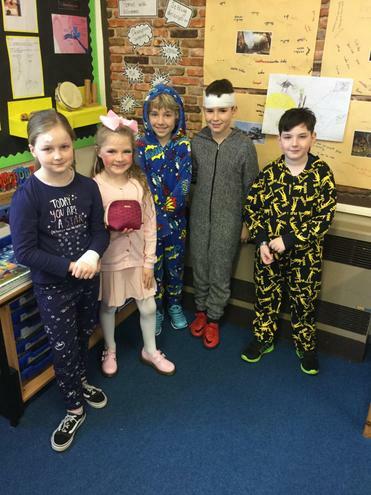 The children learned lots about daily life, work, weapons and fighting, invading and raiding, religion and funerals and even had a go at coin striking and dressing up. 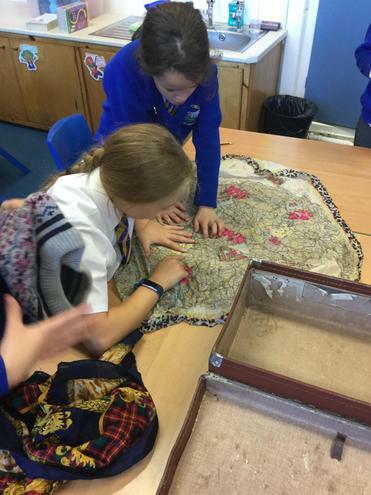 In Geography this half term we have been studying deserts and jungles and why they are so different from one another. 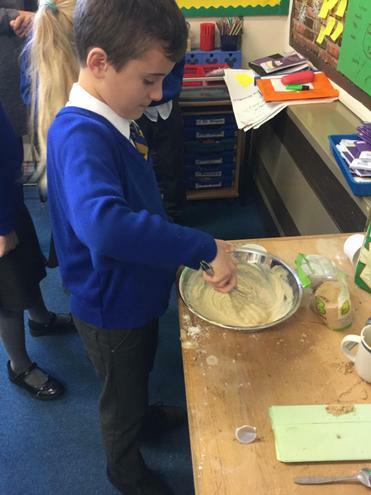 We have been discovering why deserts are so hot and why there is so much rainfall in jungles and rainforests. 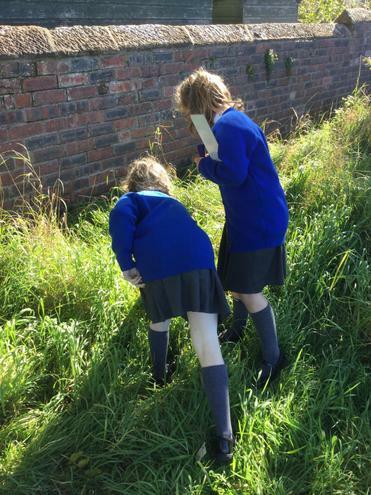 The children have been learning to interpret climate maps and graphs to show the annual rainfall in certain areas; we have become brilliant geographers. 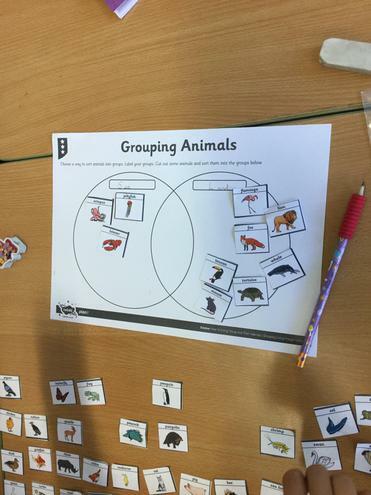 Our topic in science this half term is Animals including humans: Teeth and Eating and the children have learned all about the different types of teeth. 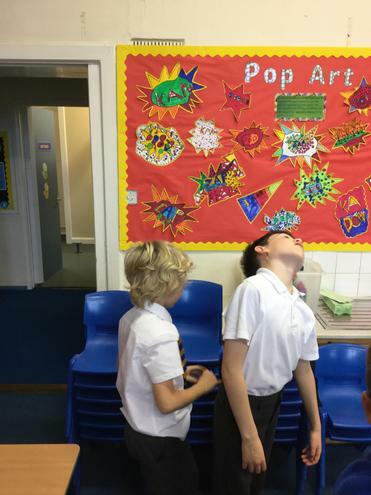 We decided to create an experiment to test which drinks had the greatest effect on the enamel of our teeth. 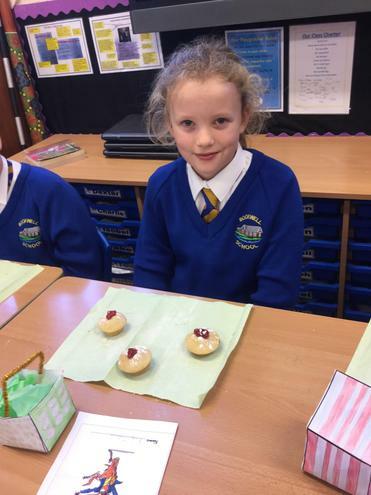 The children titled the experiment: How does sugar effect my teeth? 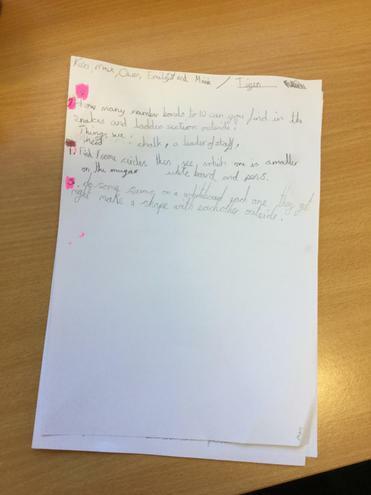 and planned which drinks they were going to test and would then write up their finding once the experiment was finished. 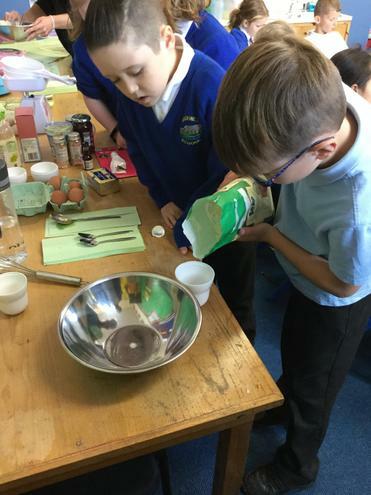 To emulate the enamel of our teeth we chose to test the drinks on free range eggs as the shell is very similar to that of our tooth enamel. 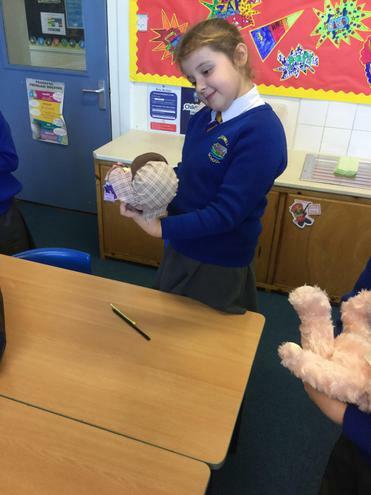 Each group had 6 eggs and the results were very interesting. 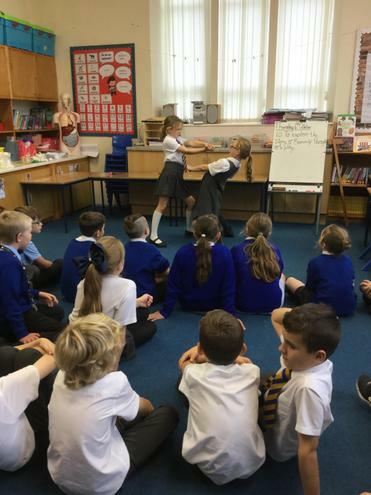 In English this half term we have been learning all about stories from different cultures. 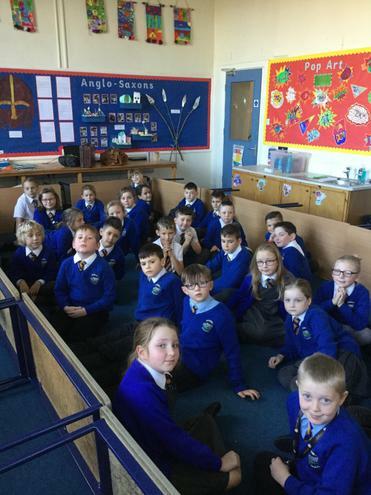 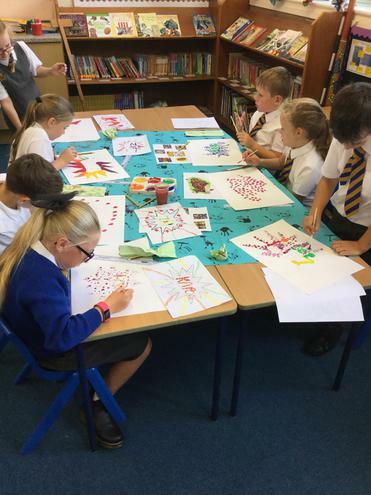 Year 4 have been looking at African stories, comparing cultures and religions of different tribes and how everyday life can be so different from our own. 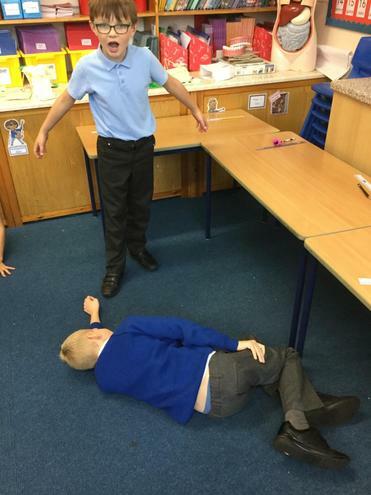 To experience what it may be like, when looking at the story of Zahra, we decided to do some role play. 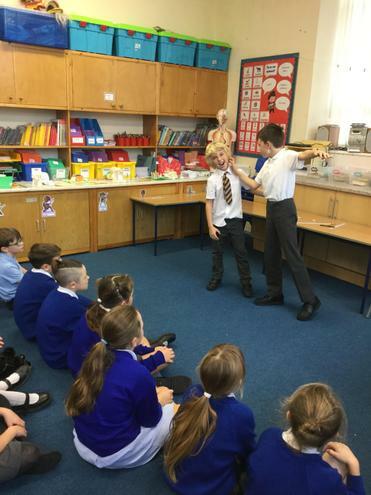 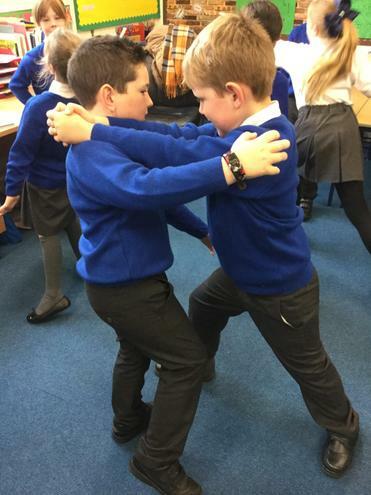 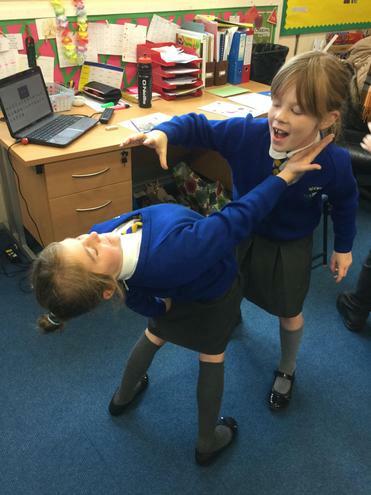 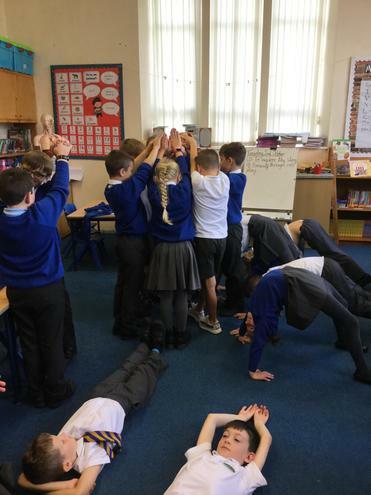 The children used physical theatre techniques to create realistic scenes and produce a short performance. 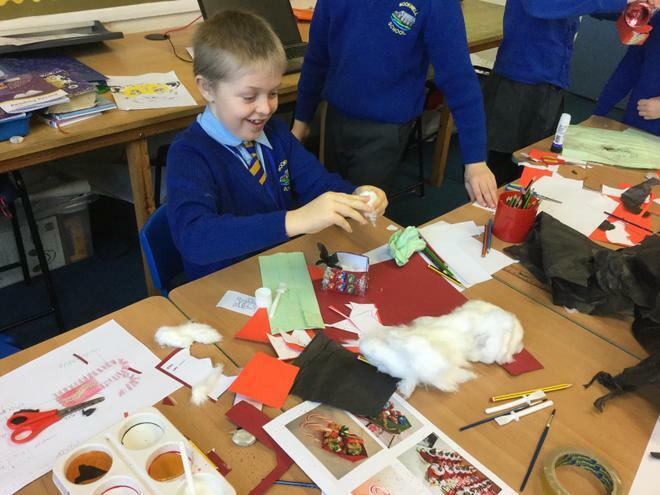 This years theme for our annual DT day was Christmas. 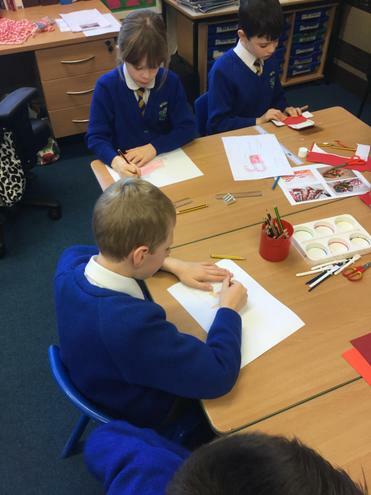 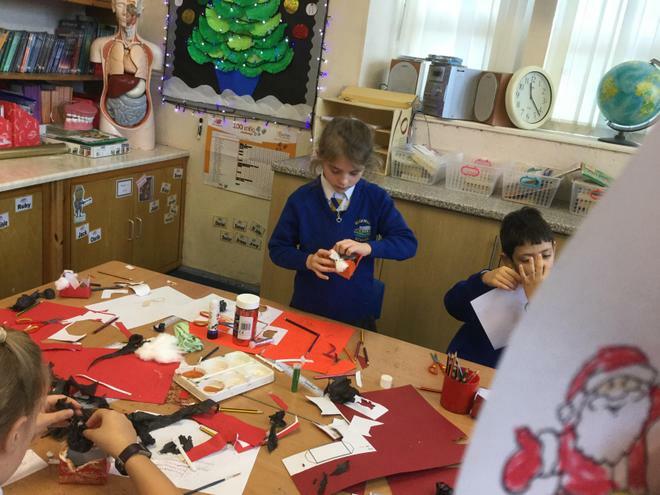 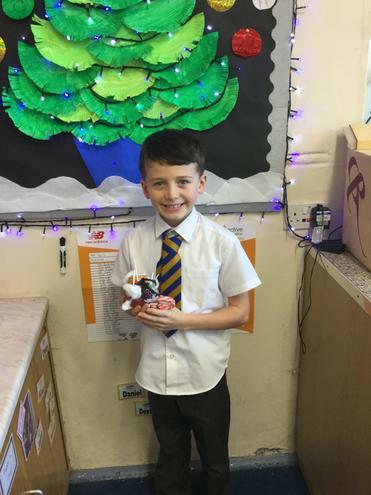 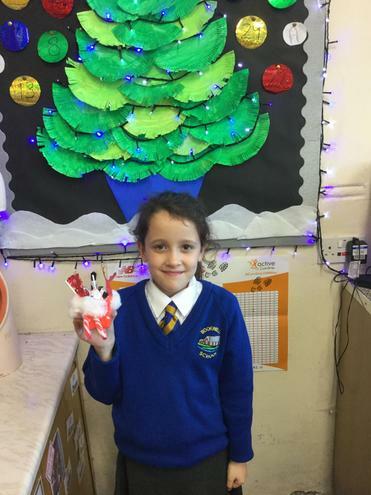 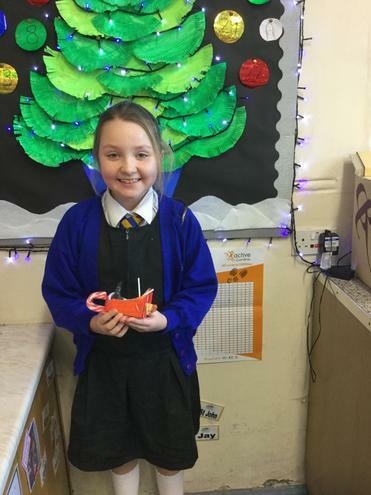 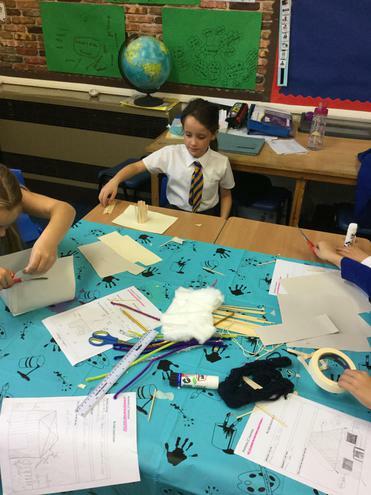 Year 4 had to design, make and evaluate a super sleigh for Santa Claus. 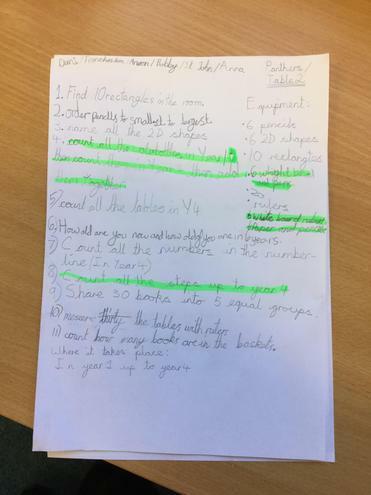 They where given a list of materials they could use including x2 candy canes to use as tracks for their sleigh. 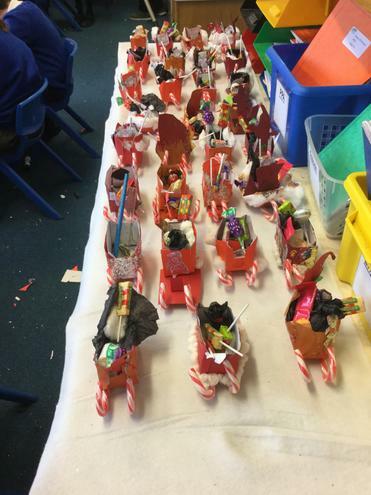 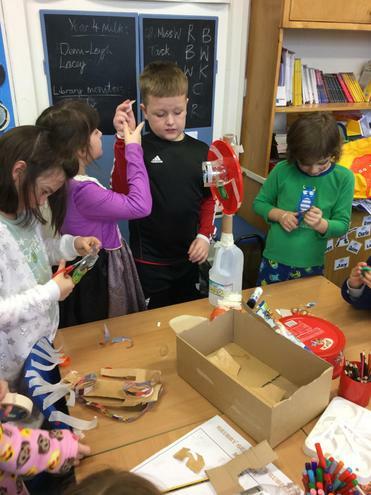 We made some fabulous sleighs and filled them full with lots of tasty treats, they were fab! 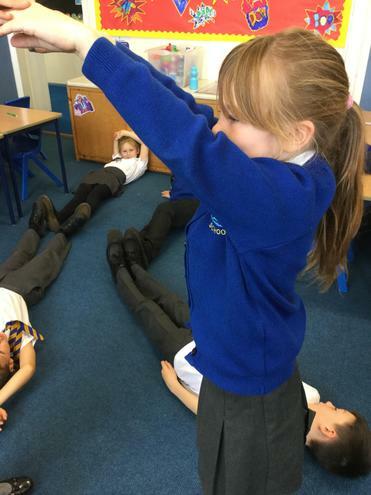 This week we have been looking at measurement. 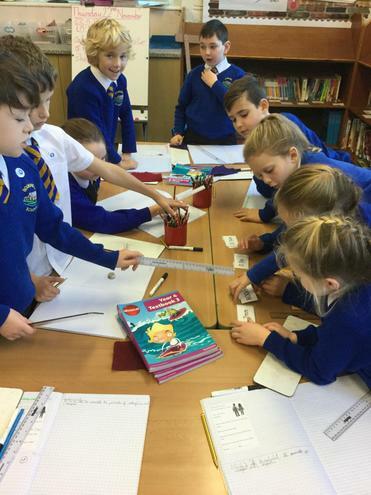 The children have learned to convert between different units of length, including mm-cm, cm-m and m-km. 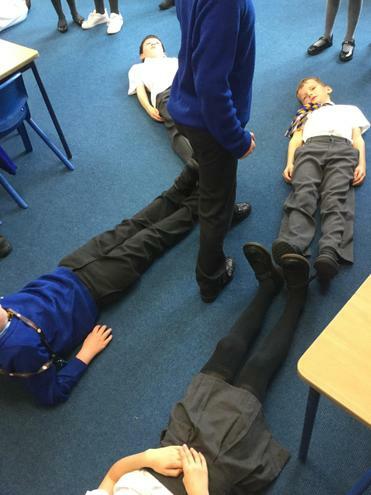 We can now order different lengths with a range of different units... take a look. 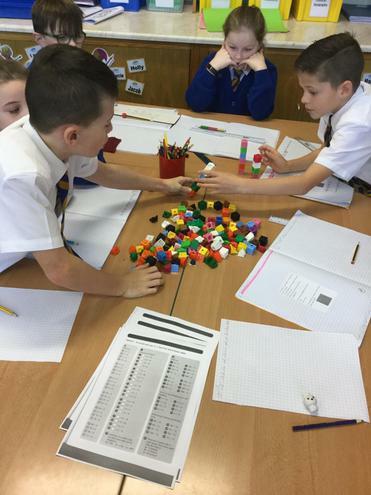 This half term we are looking at multiplication and division. 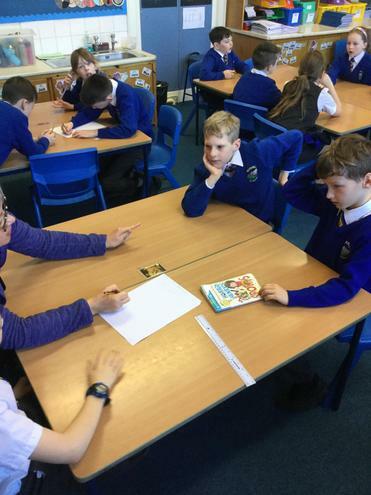 Today the children have been practising their times tables. 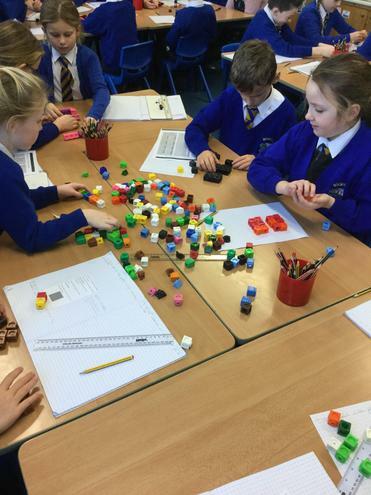 Using multi link cubes as a physical representation, the children grouped the numbers to work out the answers to the multiplication questions and words problems. 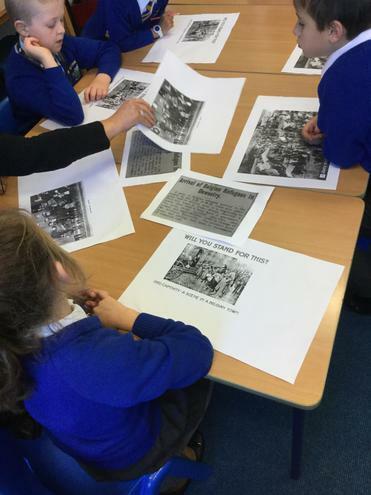 This half term our History topic has been all about the Anglo-Saxons. 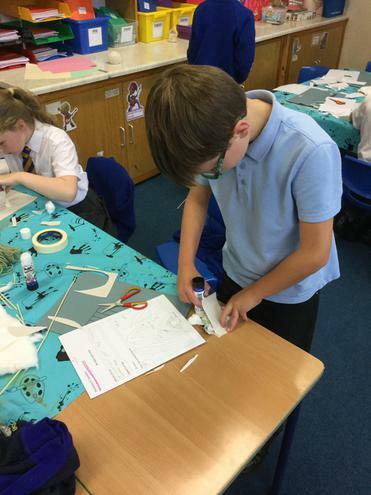 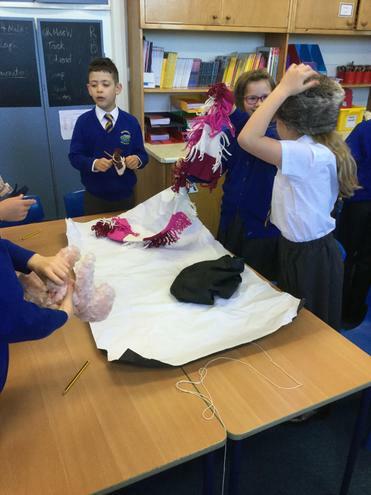 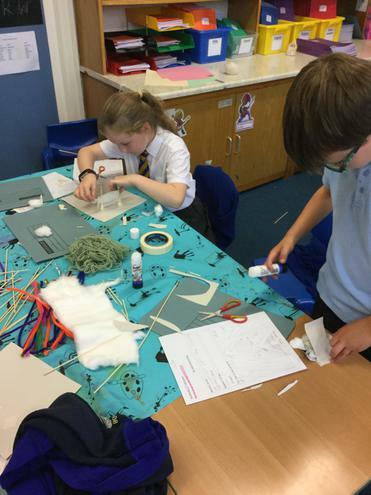 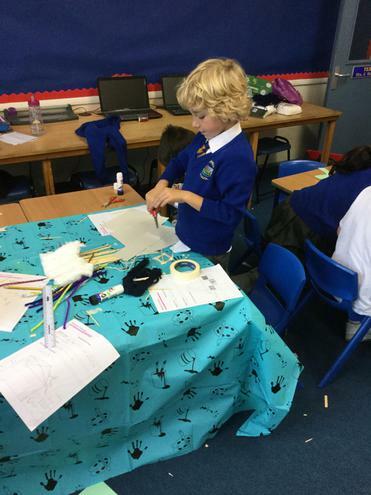 The children were given a task to create their own version of the famous Sutton Hoo mask. 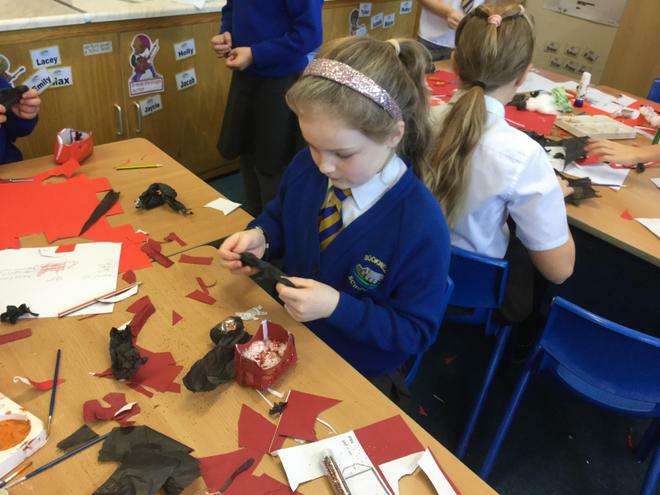 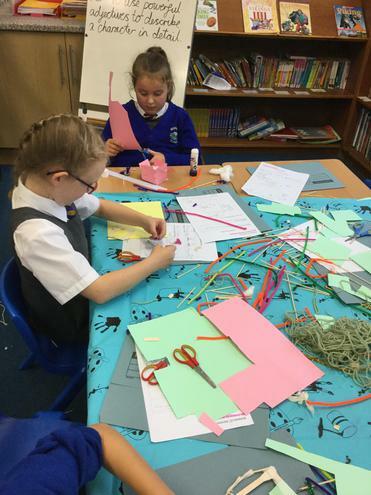 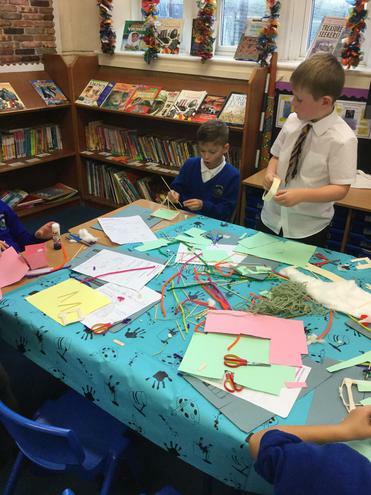 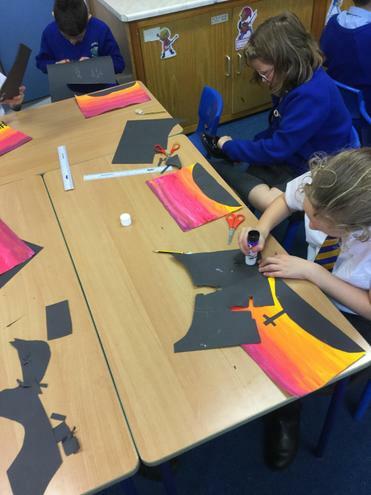 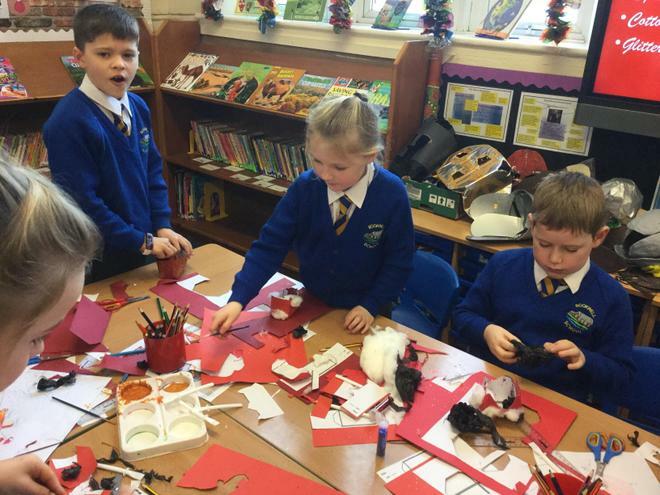 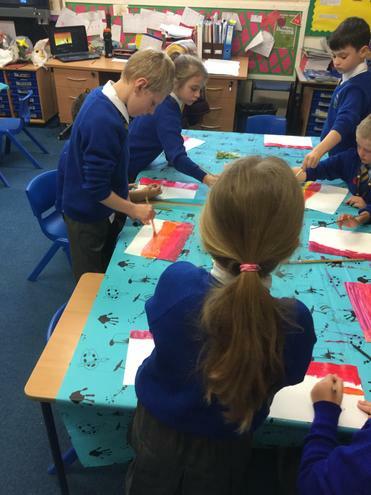 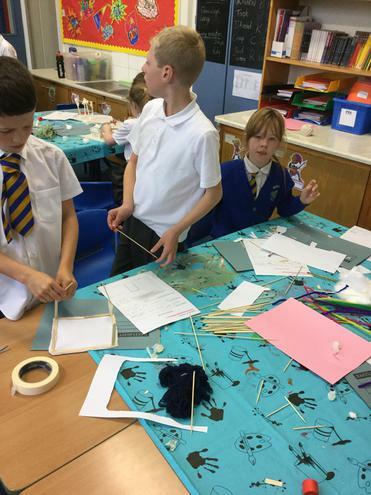 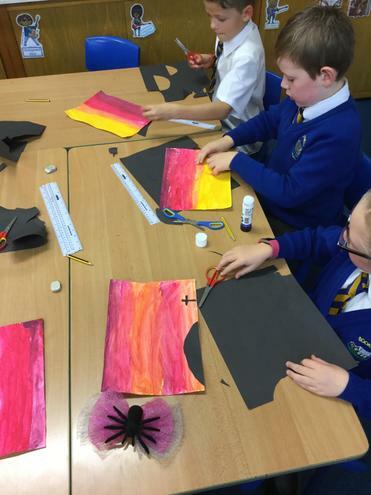 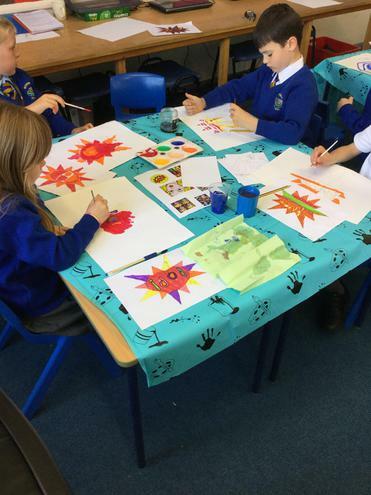 Each child worked extremely hard on their designs and taking lots of time to make it look as realistic as possible. 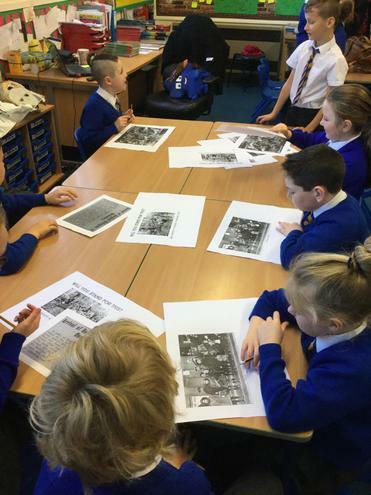 To commemorate the 100th anniversary of the end of ‘The Great War’, this week we have been learning all about World War 1. 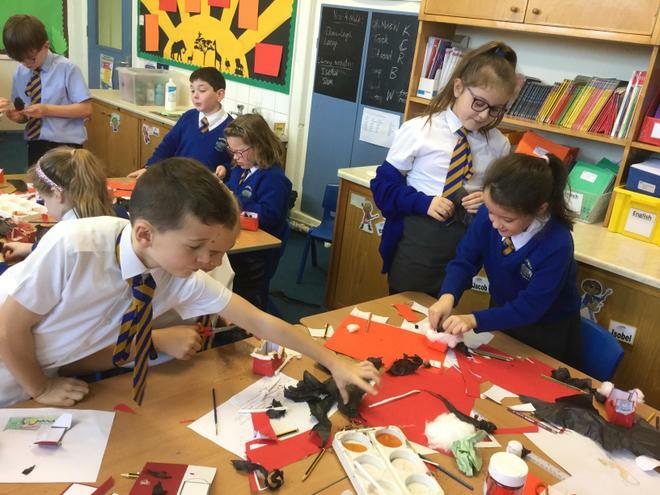 We have done lots of different activities to help us both learn about the war and remember those who gave their lives for us. 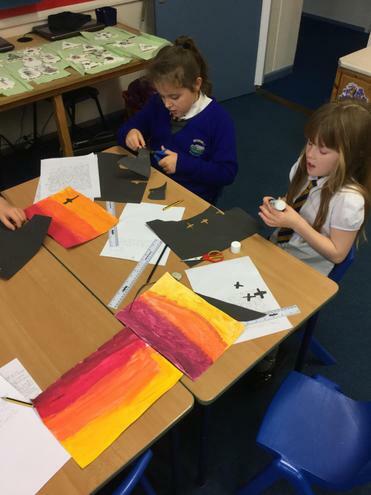 The children have investigated the different luggage bags of people living and working during WW1, pretended to be a soldiers living in the trenches and serving on the front line and also produced some wonderful silhouette art. 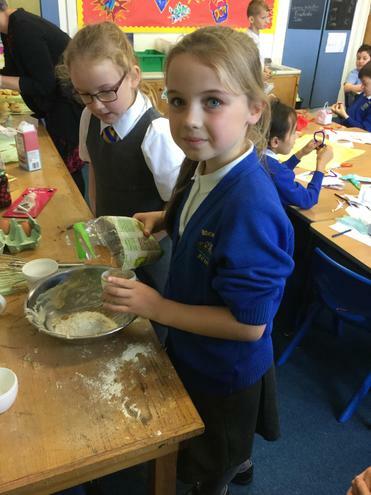 Our theme this year was books therefore we decided to base our cooking task on Roald Dahl's famous book Fantastic Mr Fox. 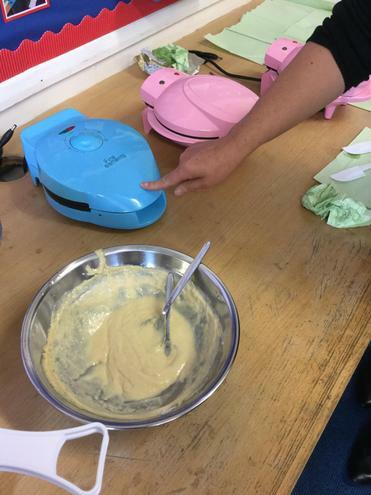 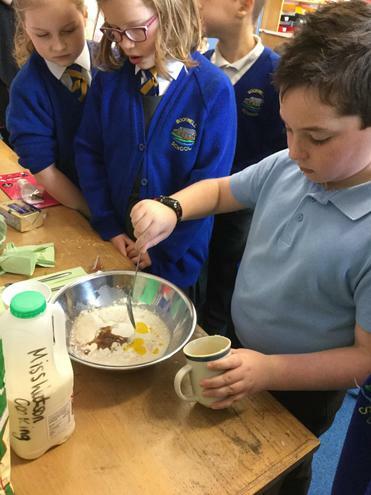 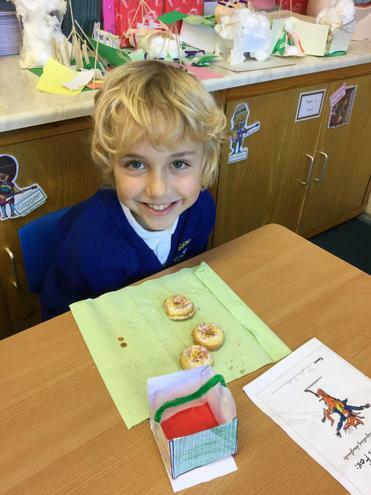 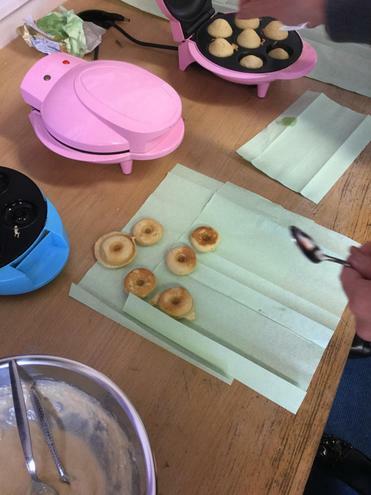 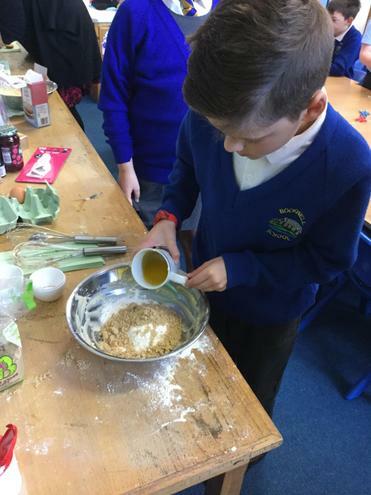 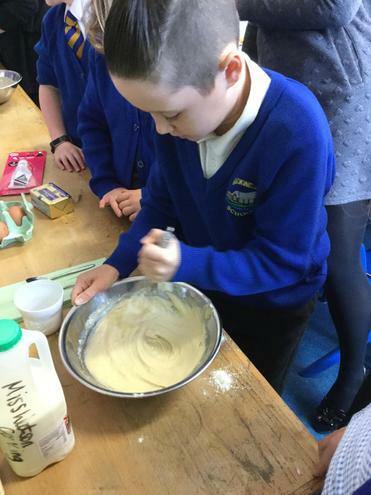 Year 4 had to design and create their own version of Farmer Bunce's disgusting doughnuts but with a tasty twist. 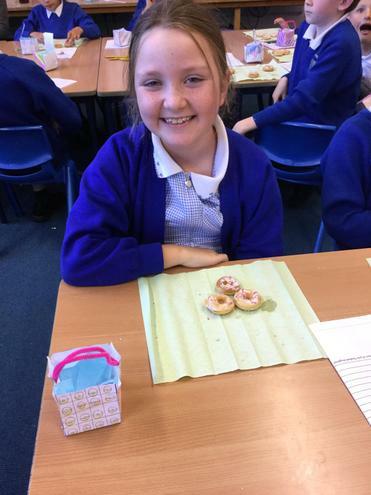 Their mission was to make them so delicious, that Farmer Bunce would never need to eat another goose liver doughnut again. 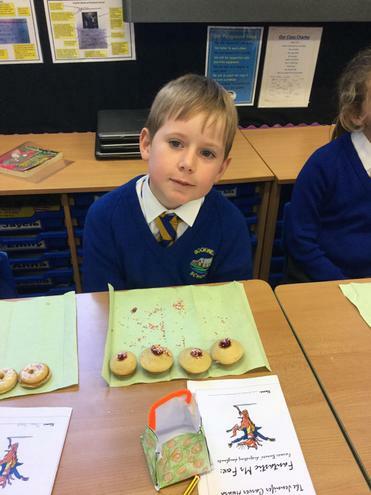 The children decorated them and filled them with an array of fillings and toppings... they were scrummy! 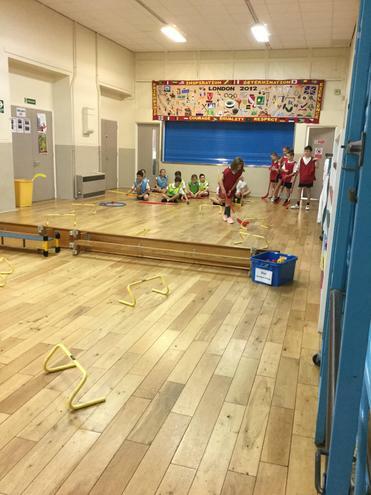 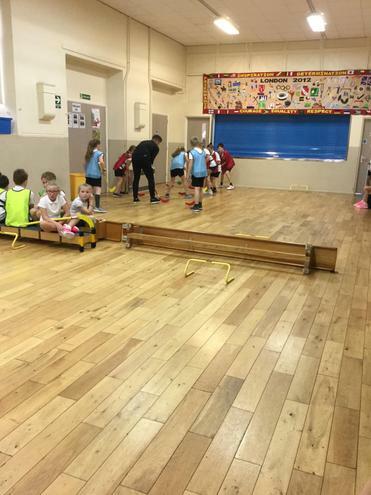 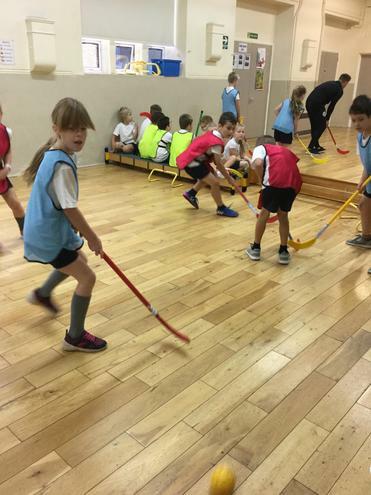 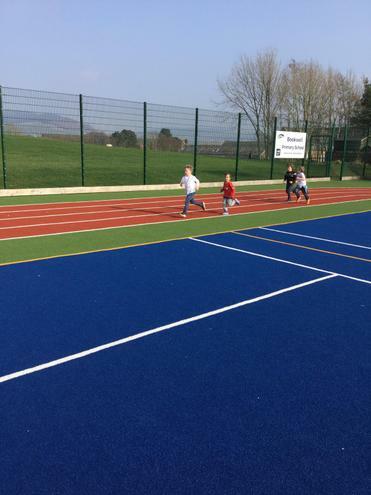 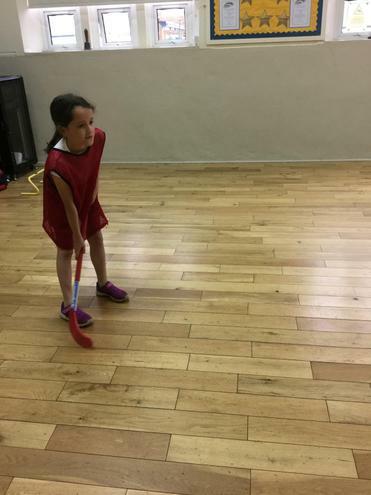 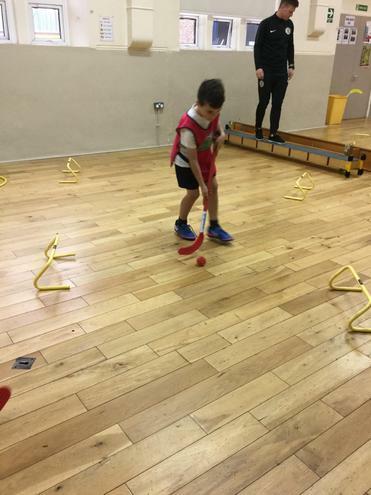 In Andrew's P.E sessions this half term, year 4 have been learning all about game play and how to play Hockey. 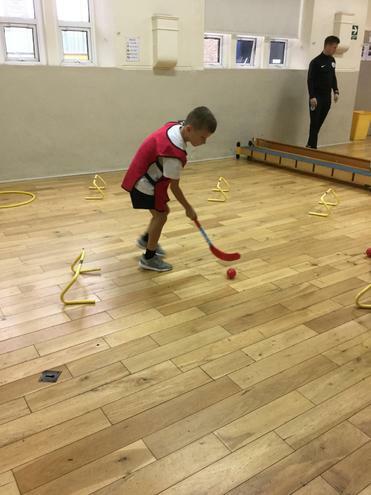 They have been learning how the hold the stick properly, the rules of game play and the scoring system. 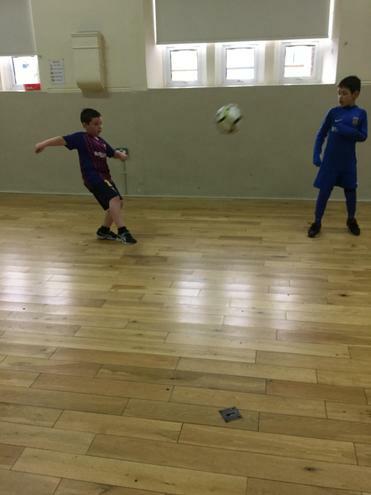 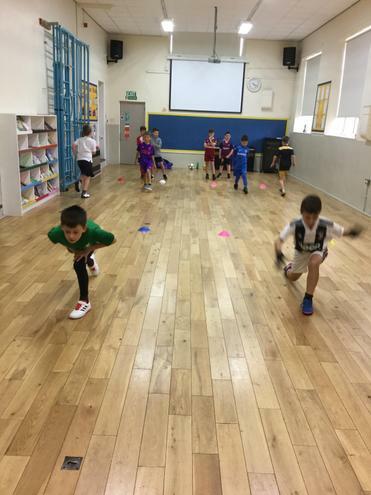 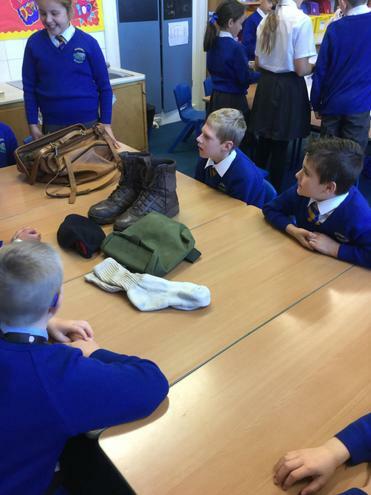 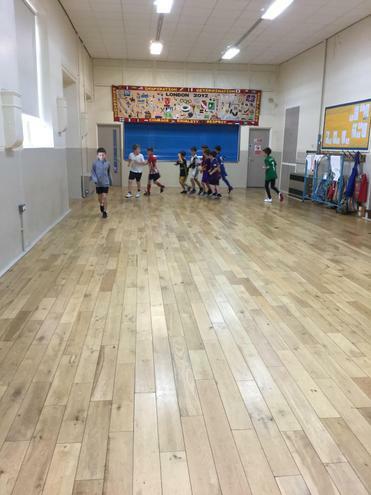 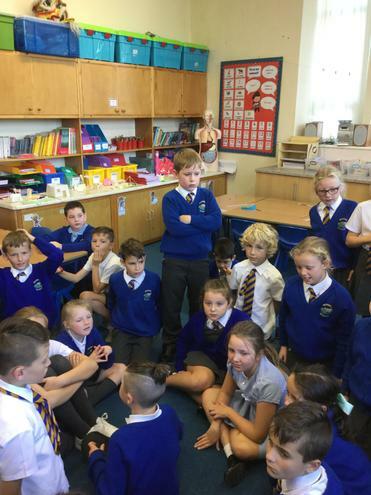 During Autumn term we ran a football afterschool club for pupils in year 4. 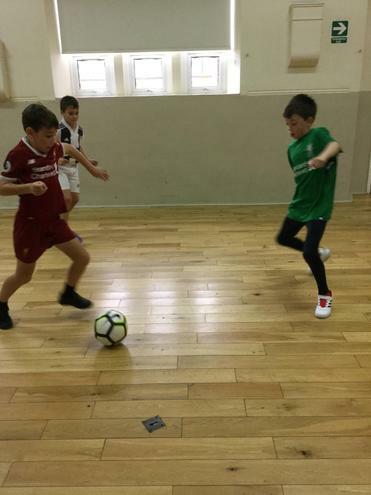 All children with a keen interest in football were welcome to attend and we welcomed both experienced players and beginners. 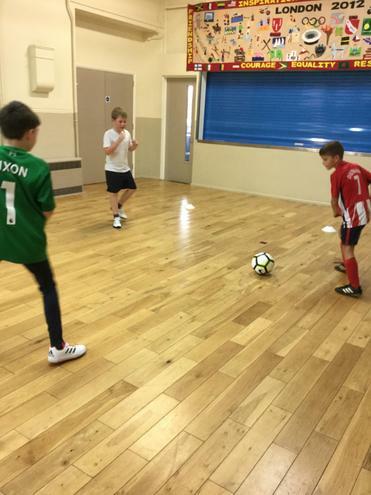 We did lots of drills and tactics and also some competitive game play, we had great fun! 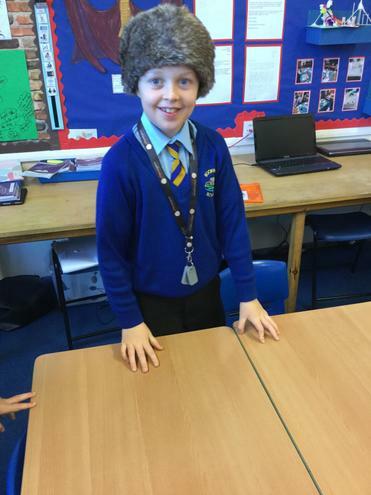 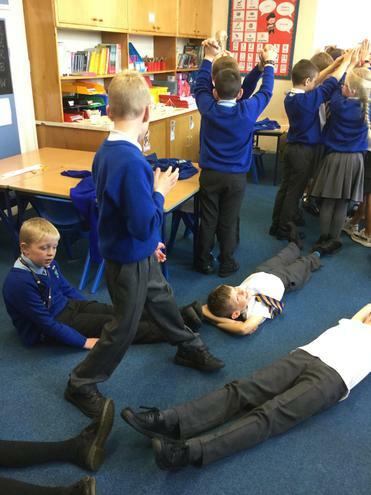 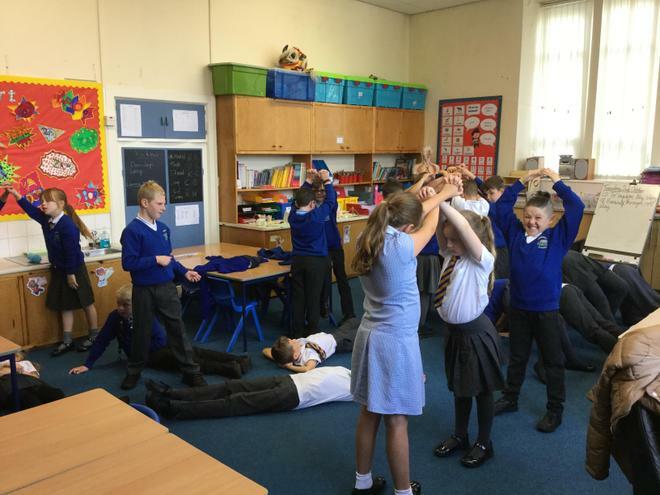 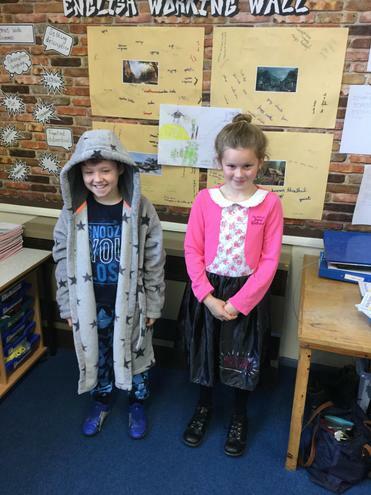 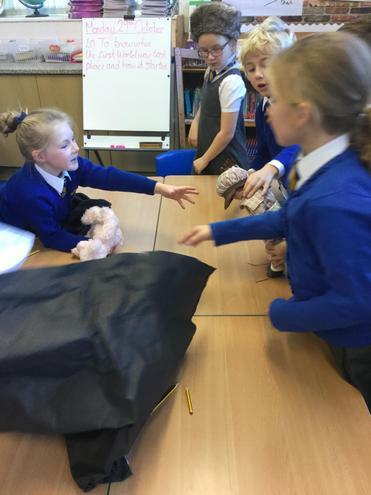 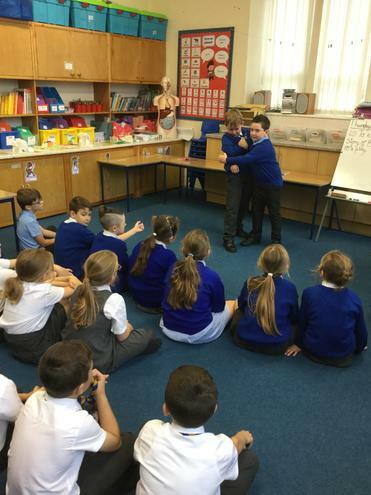 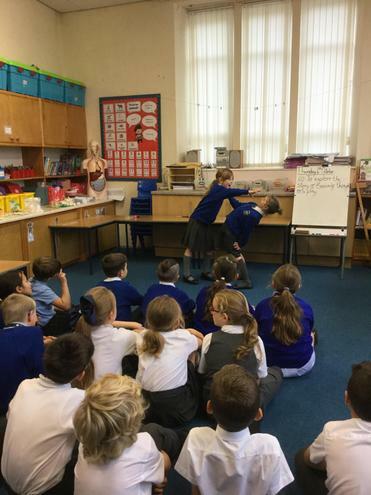 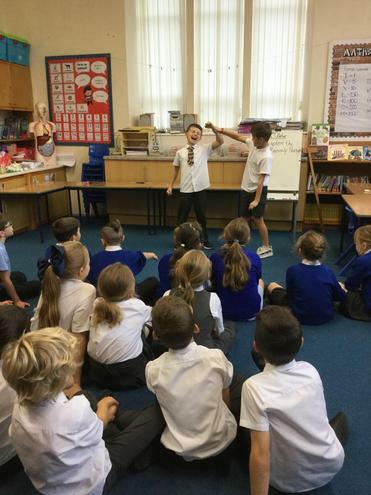 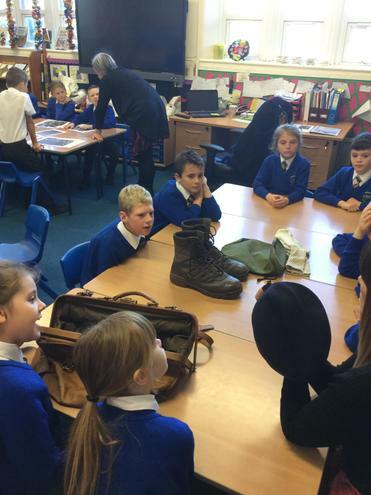 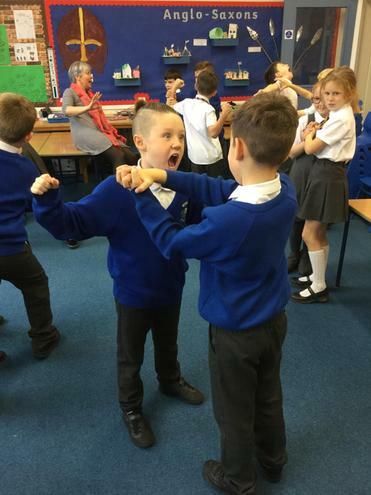 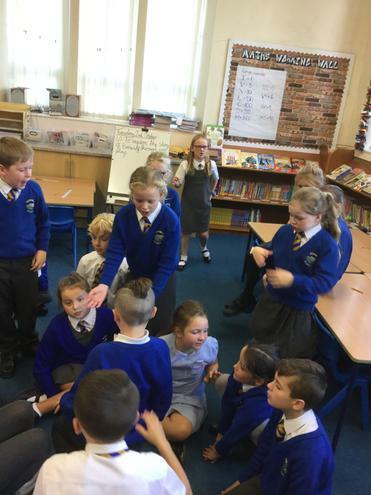 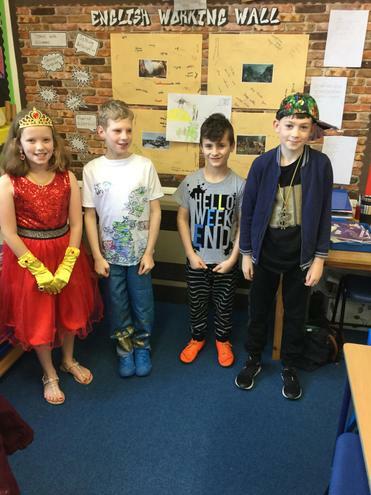 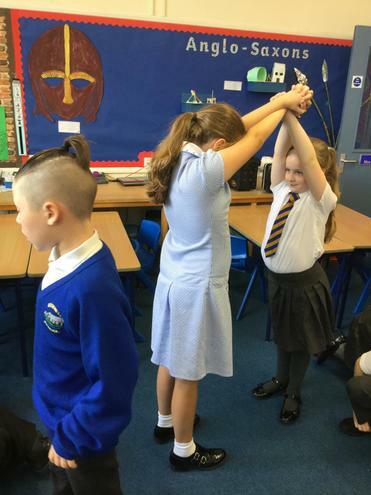 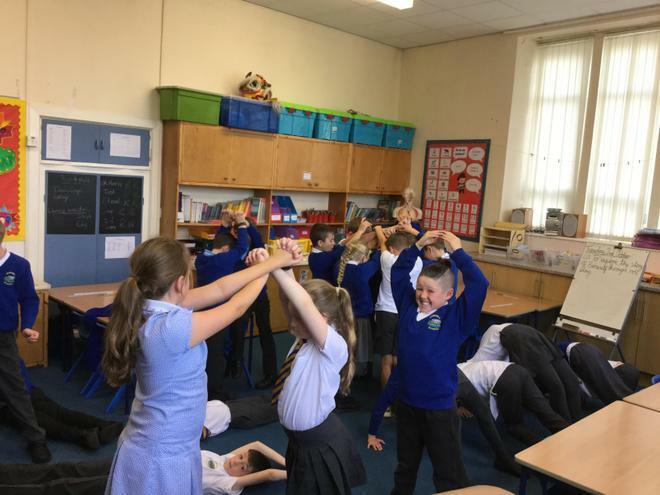 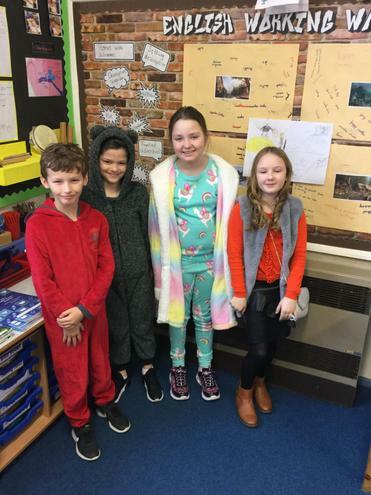 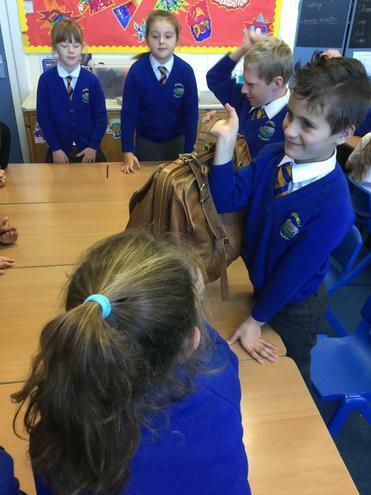 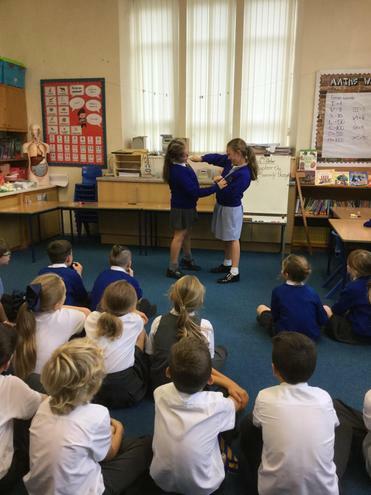 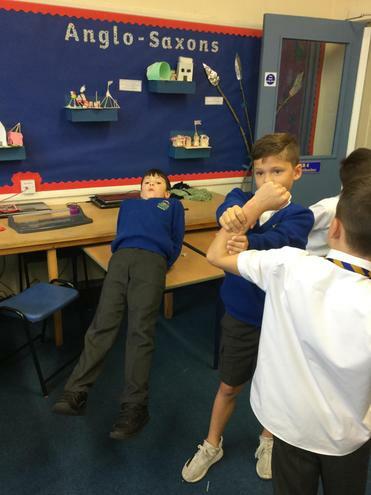 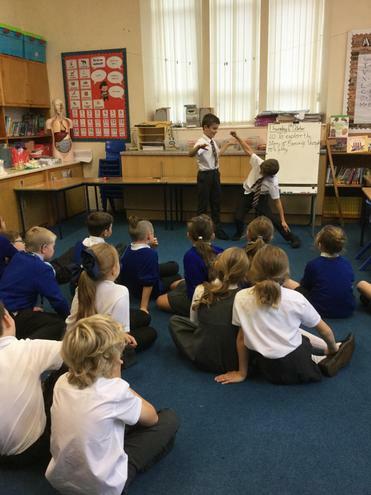 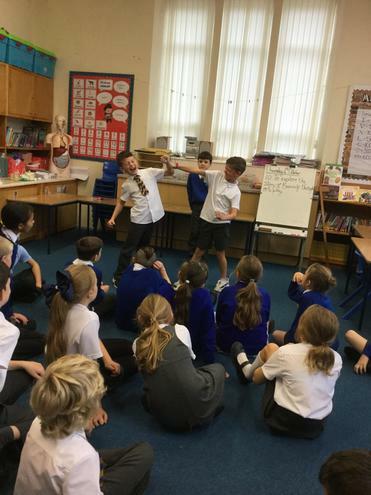 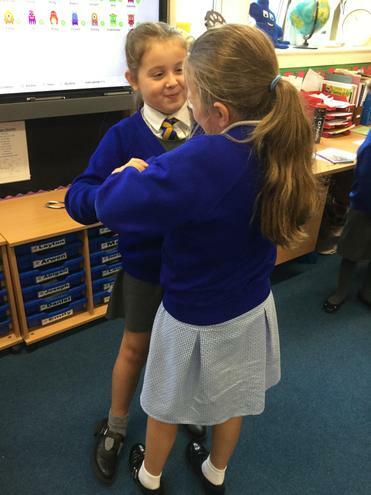 In English this week, the children have been exploring the story of Beowulf through the use of role play. 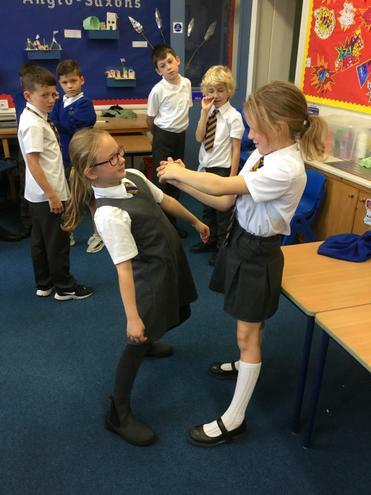 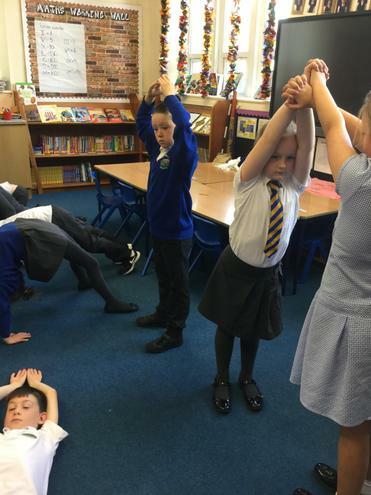 The children have done a character walk, some physical theatre, freeze frames. 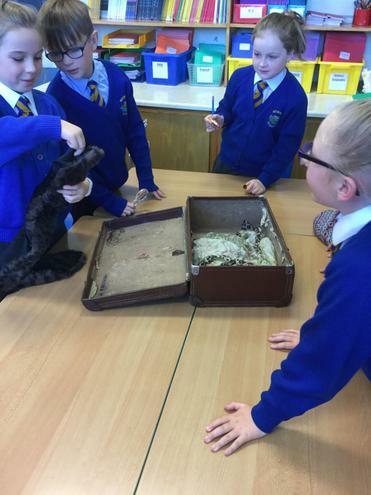 As part of our living things topic this week we have been learning all about invertebrates. 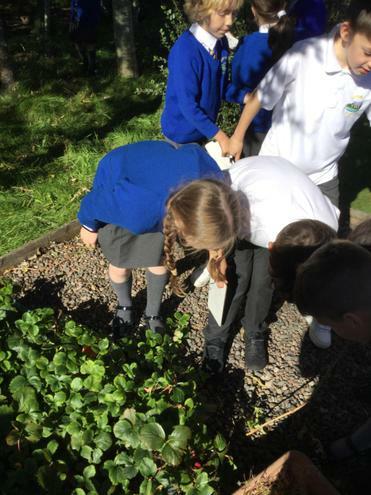 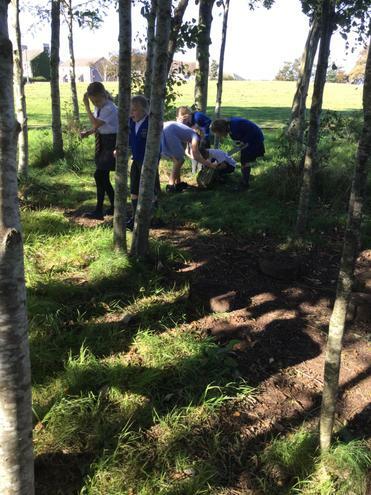 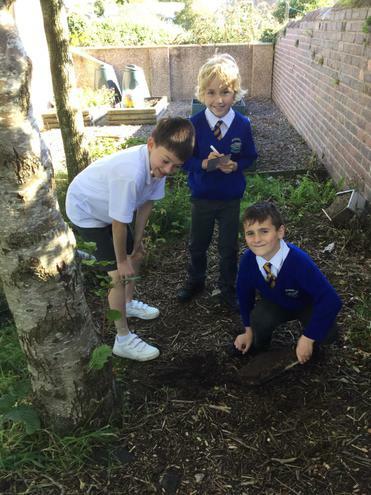 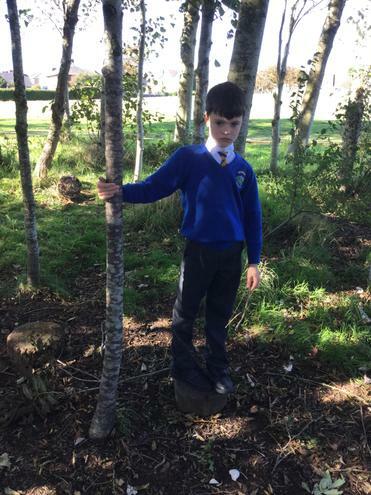 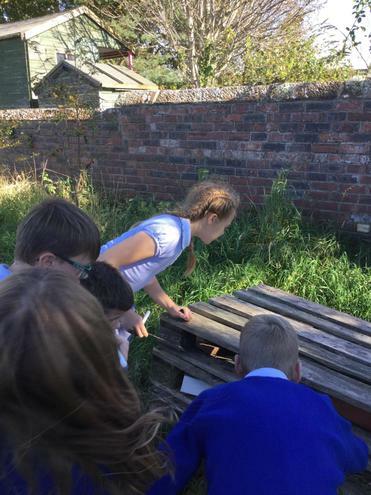 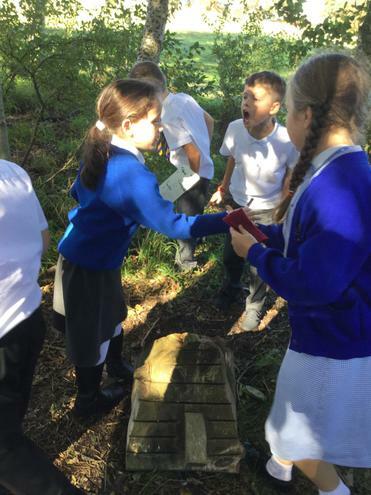 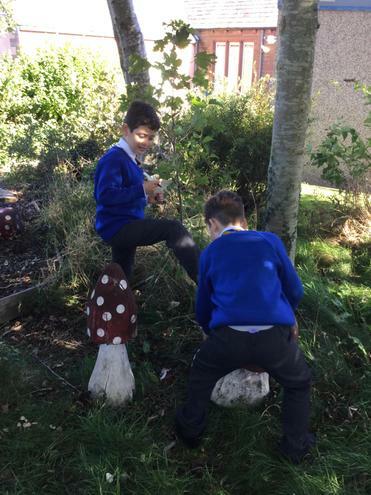 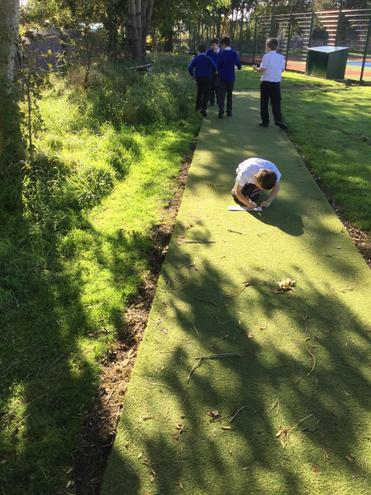 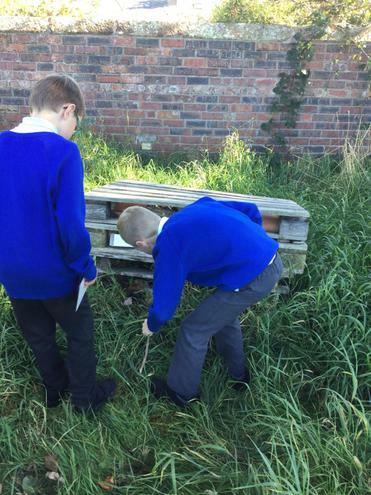 During our science lesson, we went outside on our very own invertebrate hunt into the schools woodland area and around the school field. 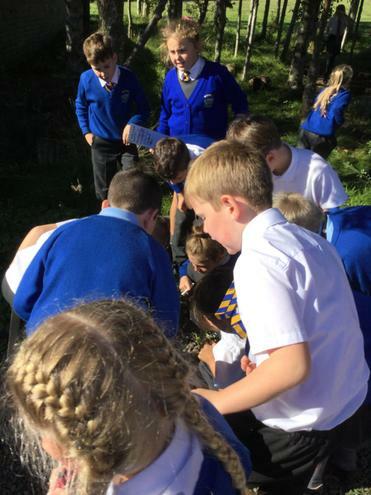 The children identified lots of different species and managed to find lots of different types of invertebrates. 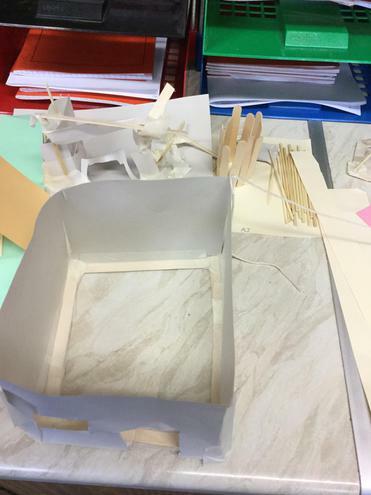 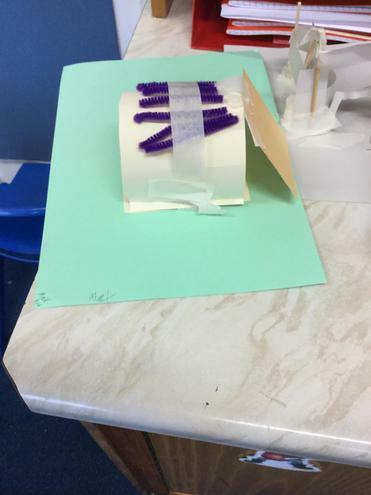 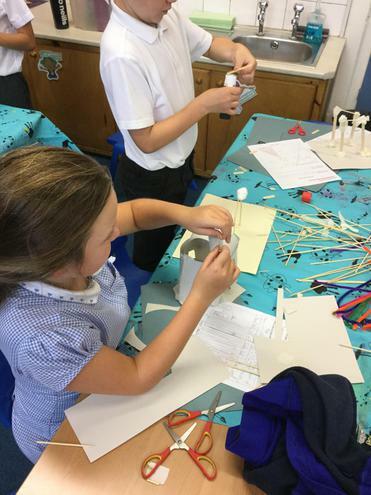 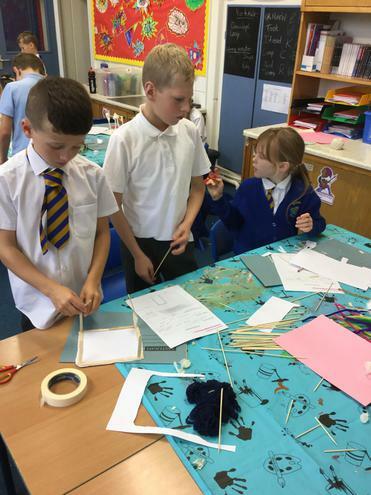 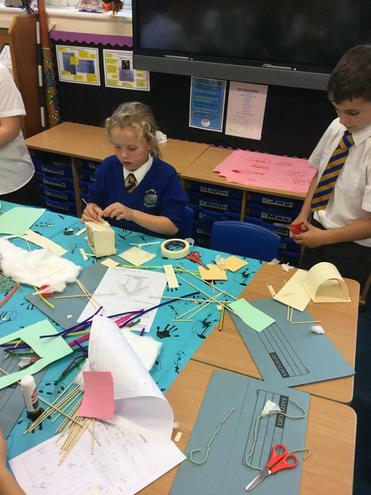 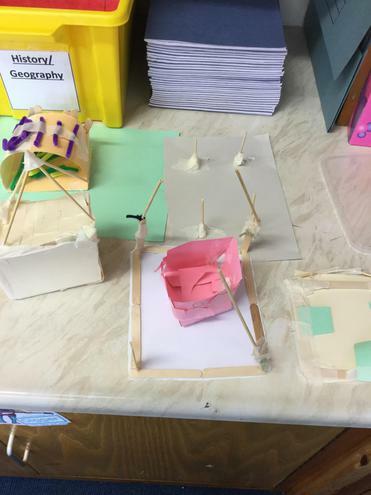 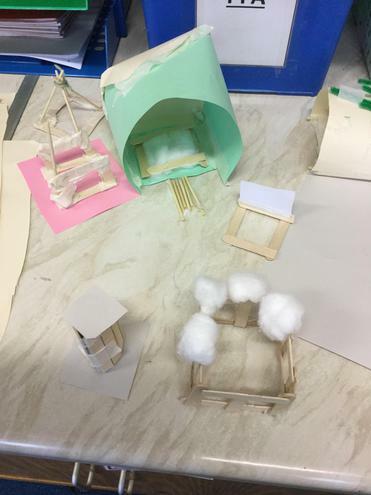 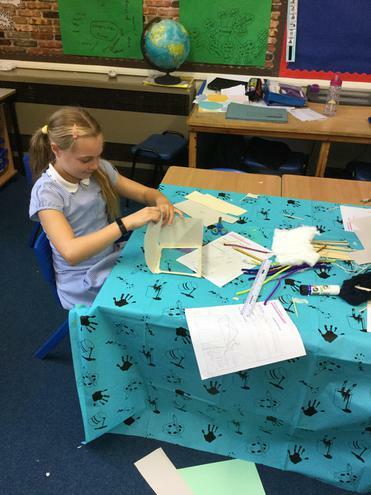 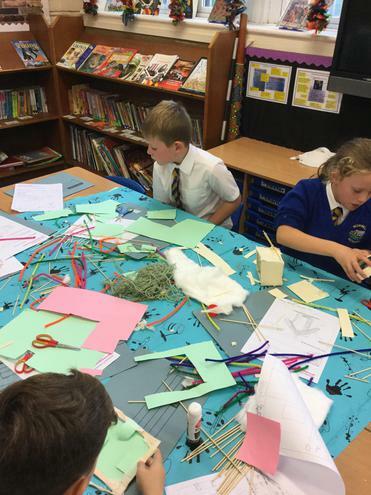 To link with our History topic, in D&T this half term we have been designing and making our own models of a traditional Anglo-Saxon house. 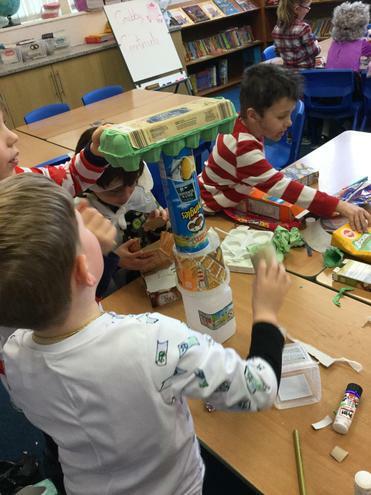 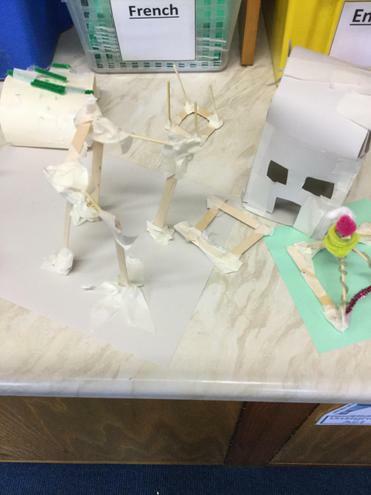 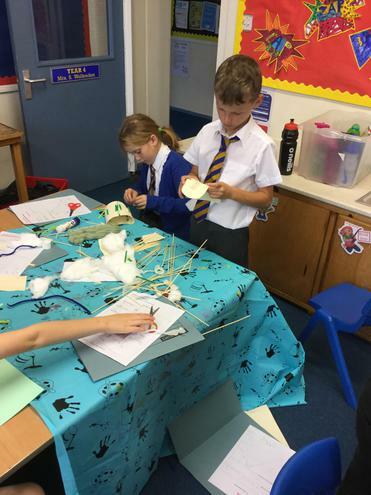 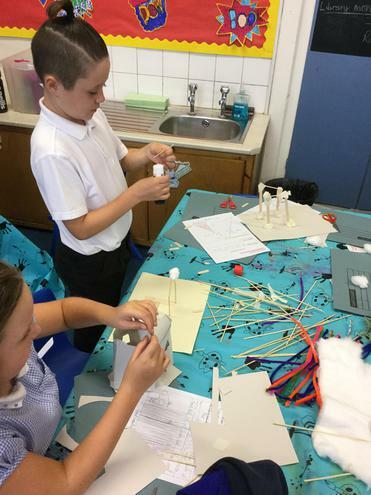 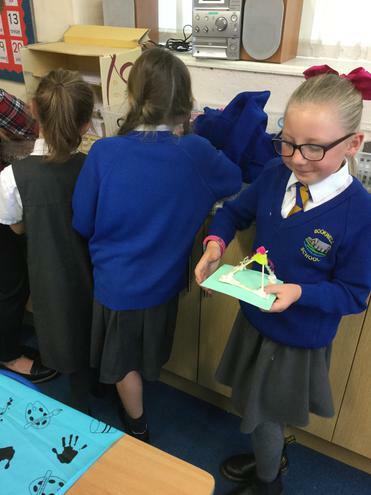 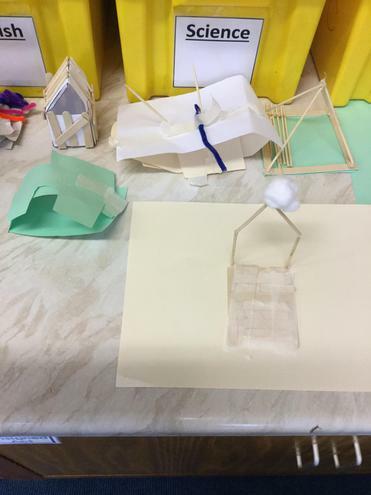 The children have planned, designed and made their own models independently, choosing their own materials. 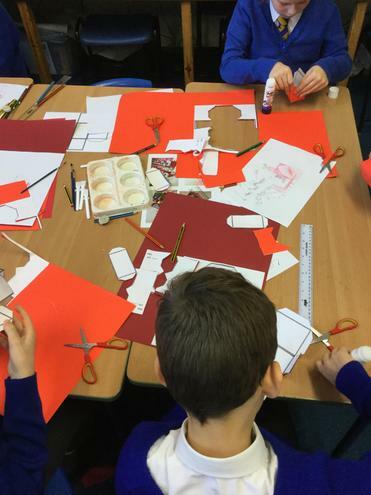 The next part of the design process will be evaluating their own work. 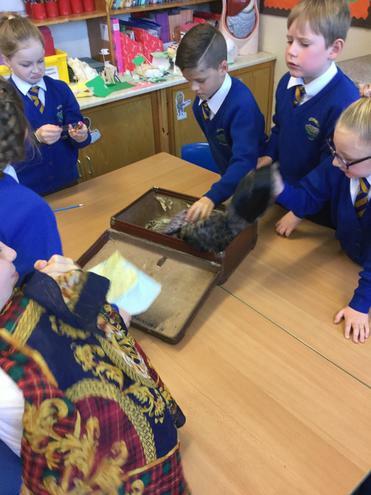 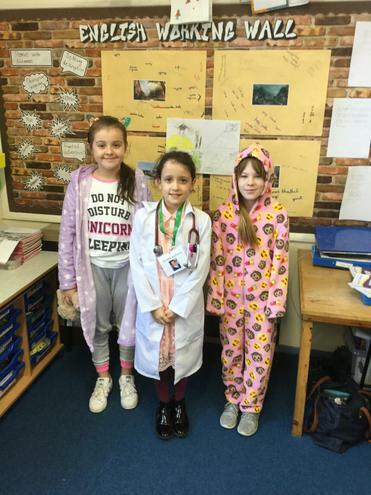 In science this half term we are learning all about living things. 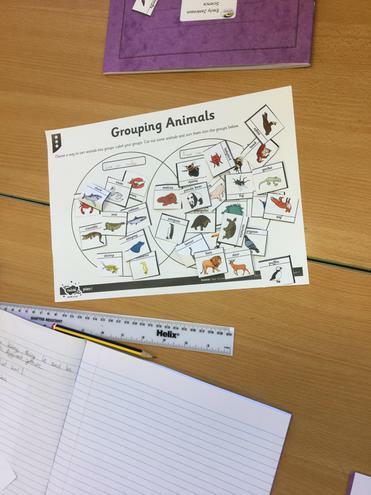 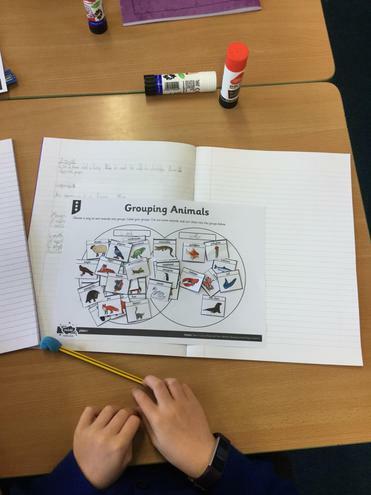 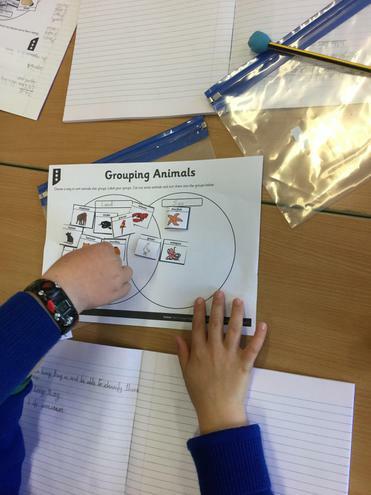 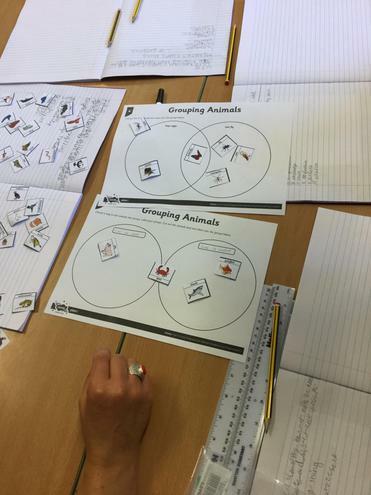 So far we have been learning how to classify living things into different groups using a Venn diagram. 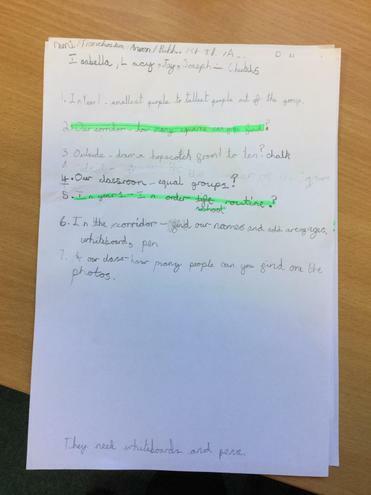 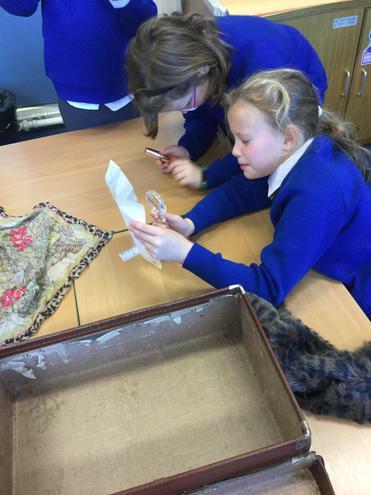 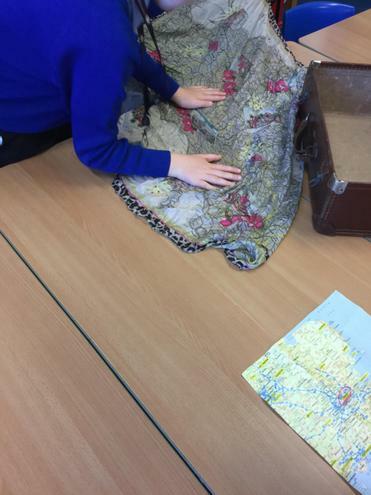 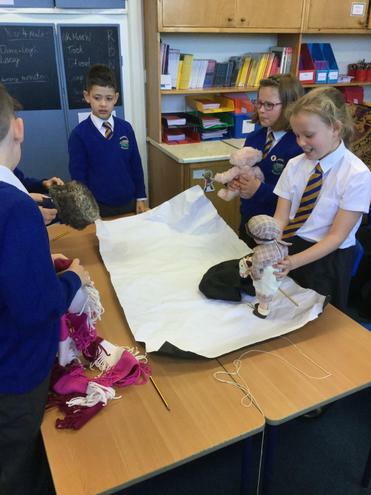 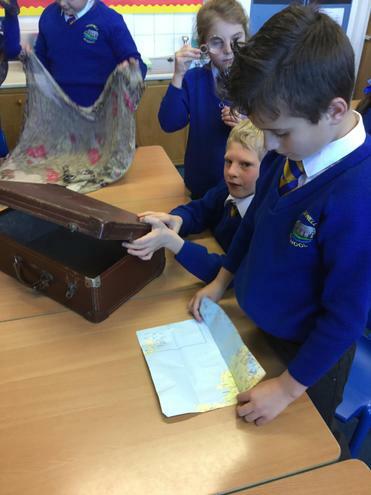 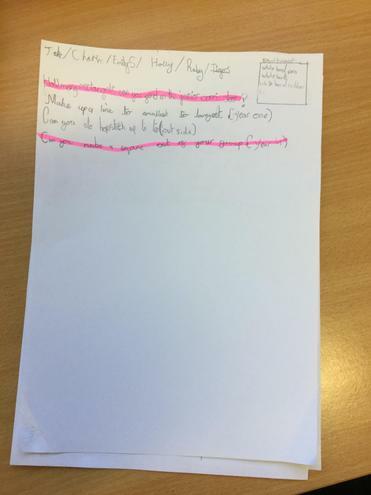 In English this half term year 4 have been learning all about narratives with a historical setting. 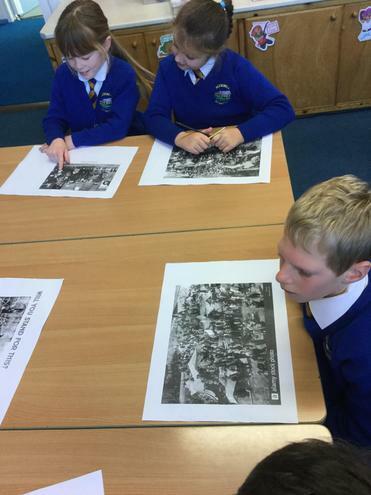 We have been reading the famous Anglo-Saxon story of Beowulf to link with our History topic. 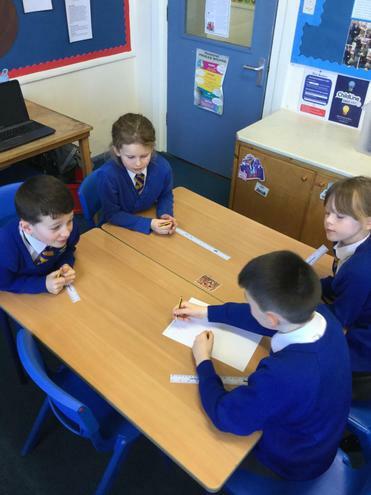 During our English lessons we have explored different characters, wrote an informal letter and even had a go at some hot seating. 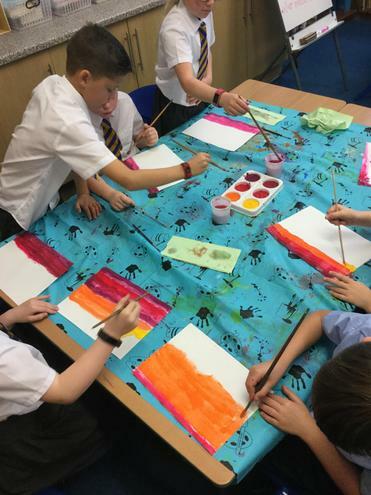 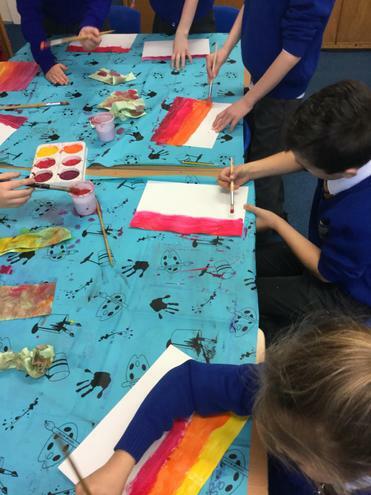 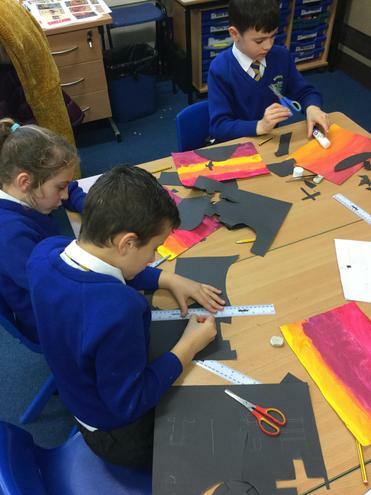 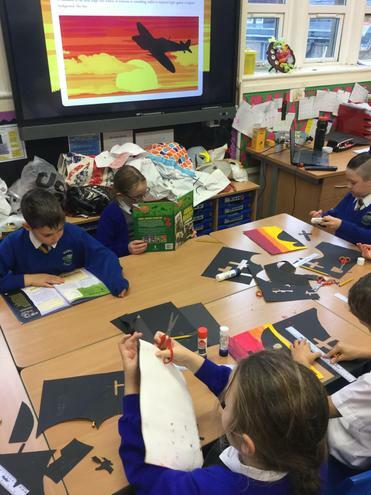 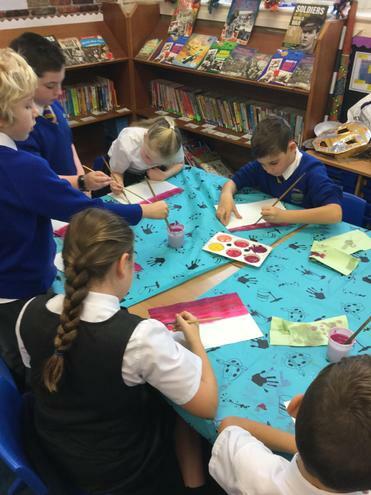 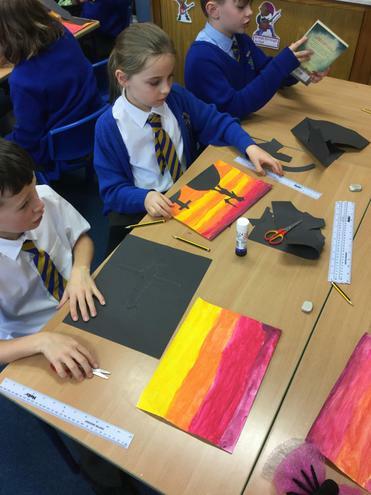 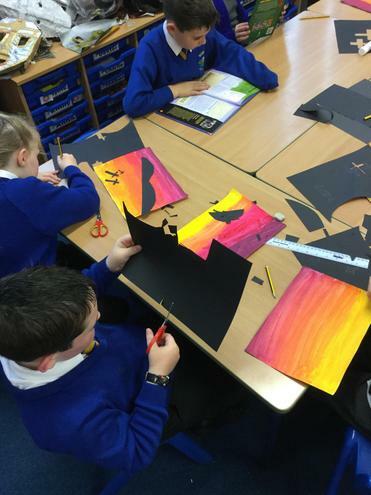 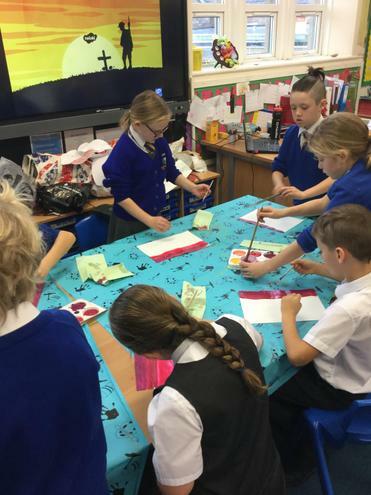 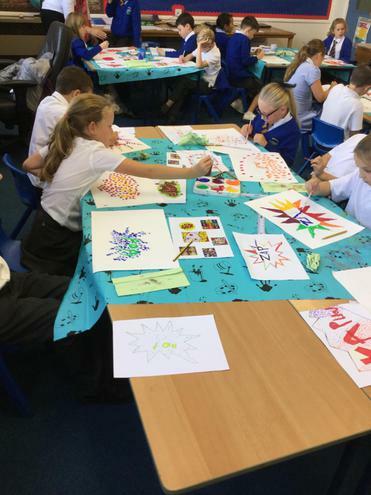 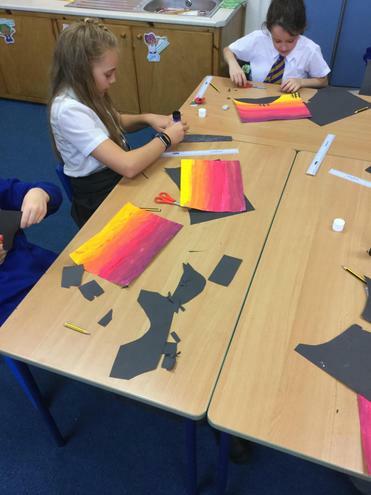 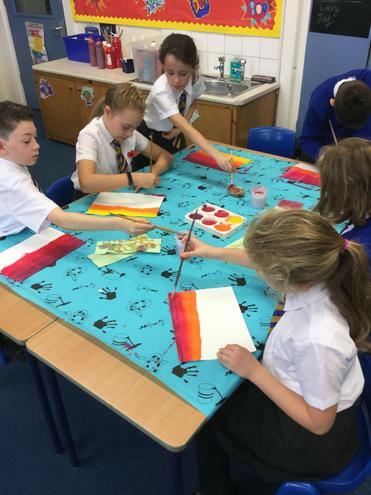 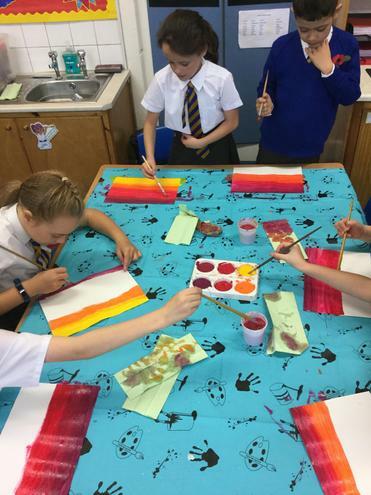 In year 4 this term children have been looking at Pop Art in our art lessons. 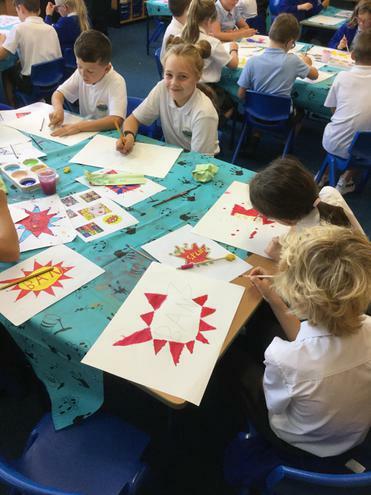 We have created our own comic strip artwork in the style of Roy Lichtenstein... take a look!